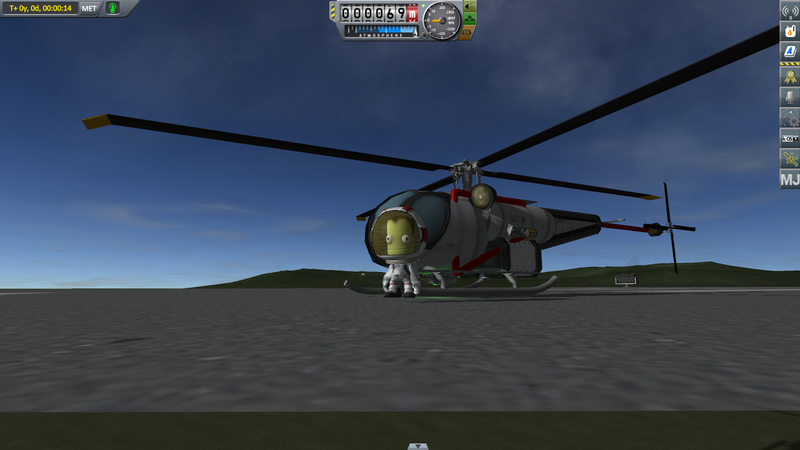 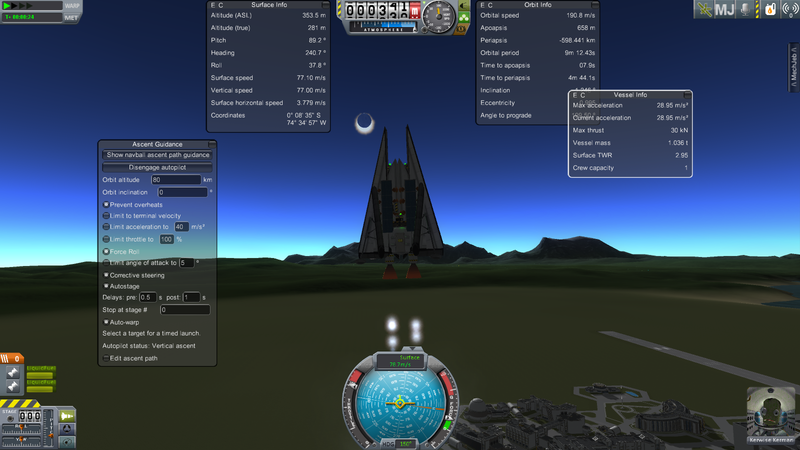 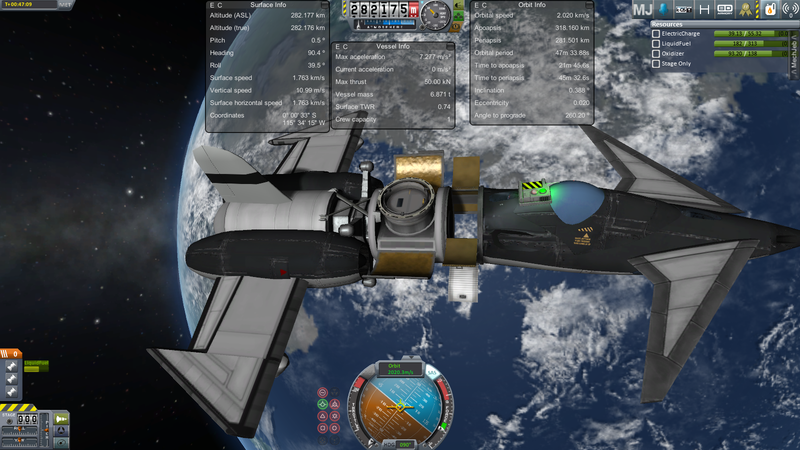 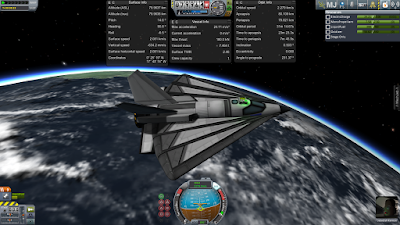 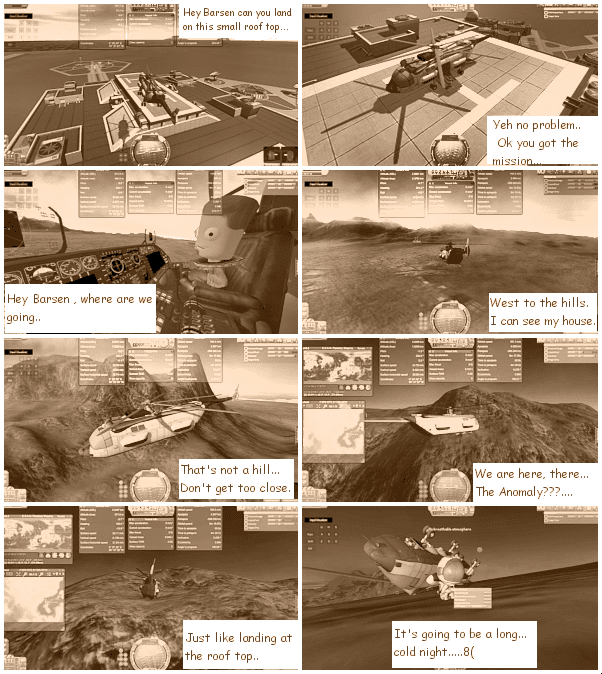 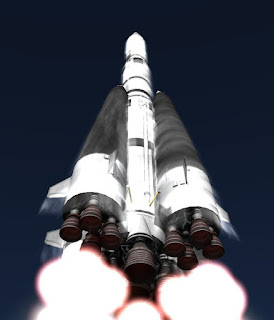 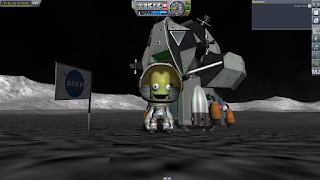 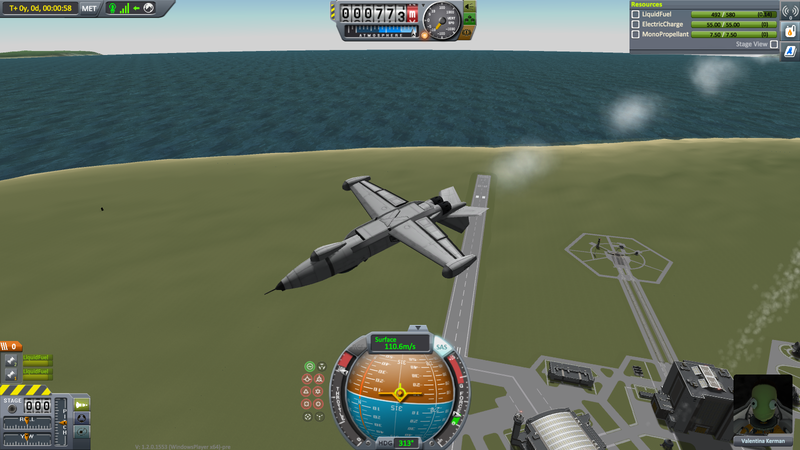 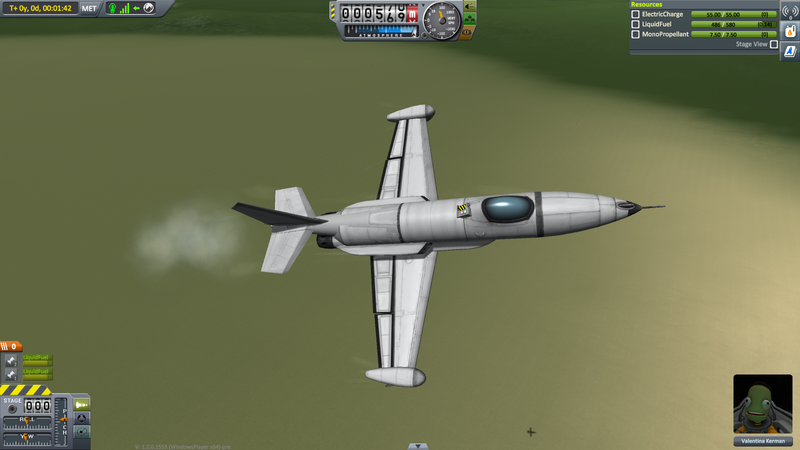 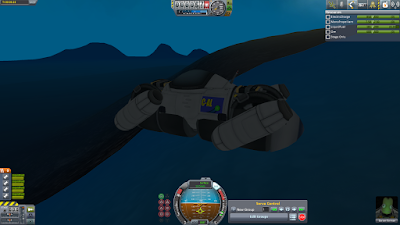 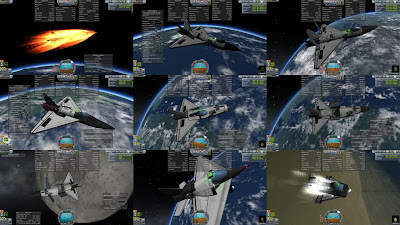 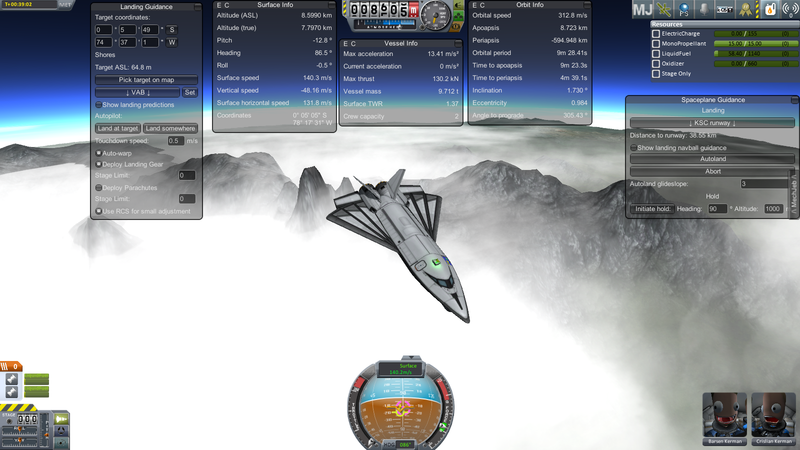 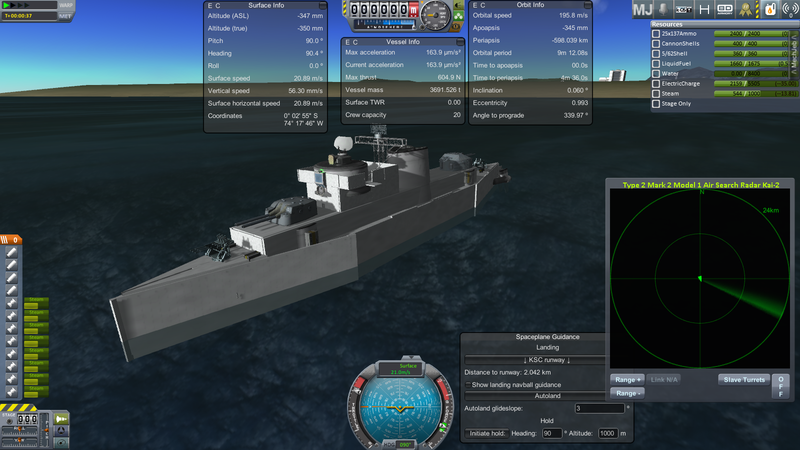 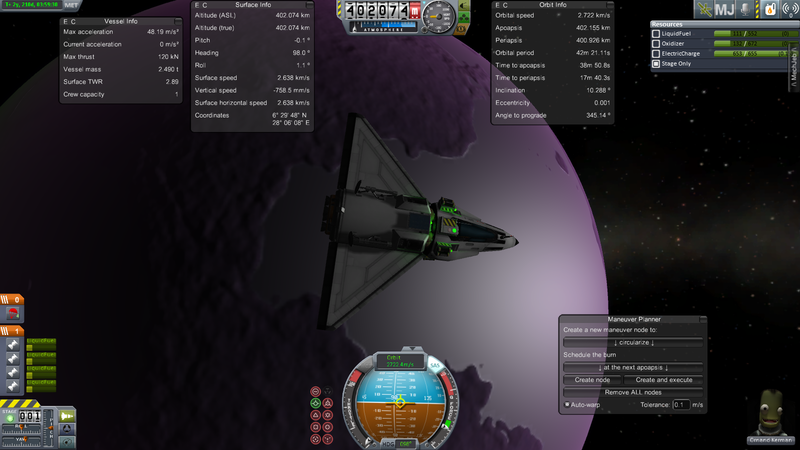 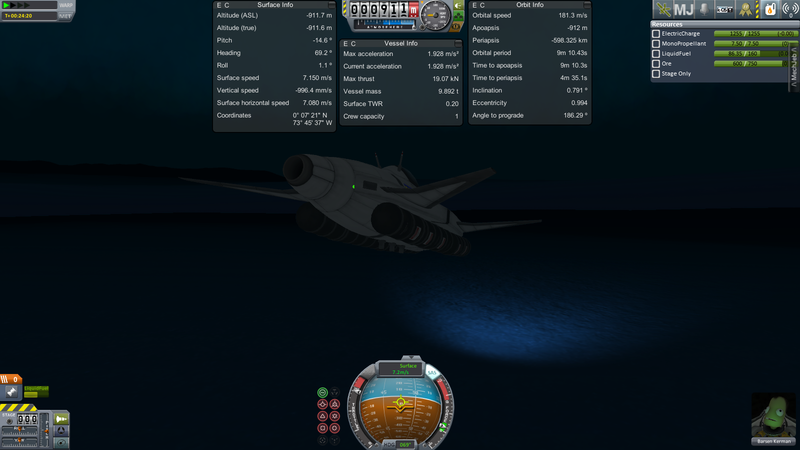 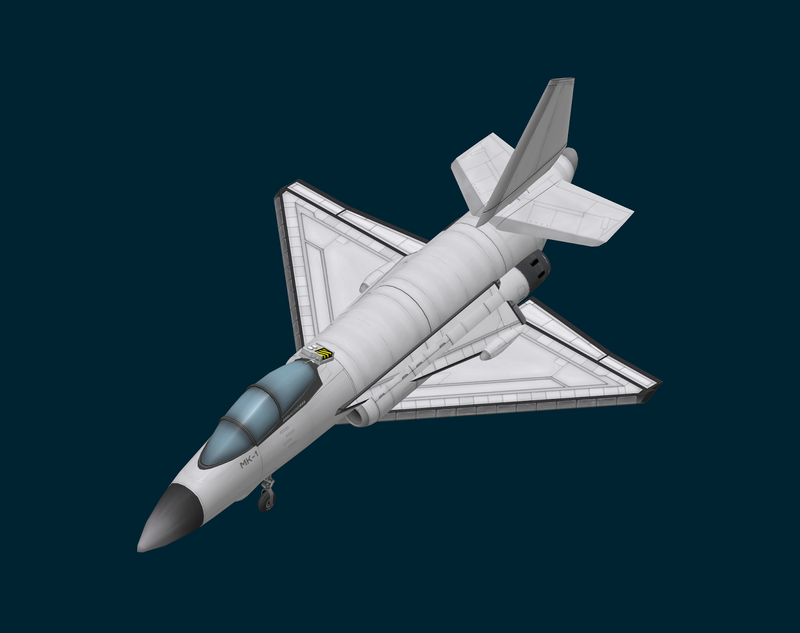 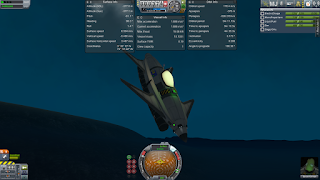 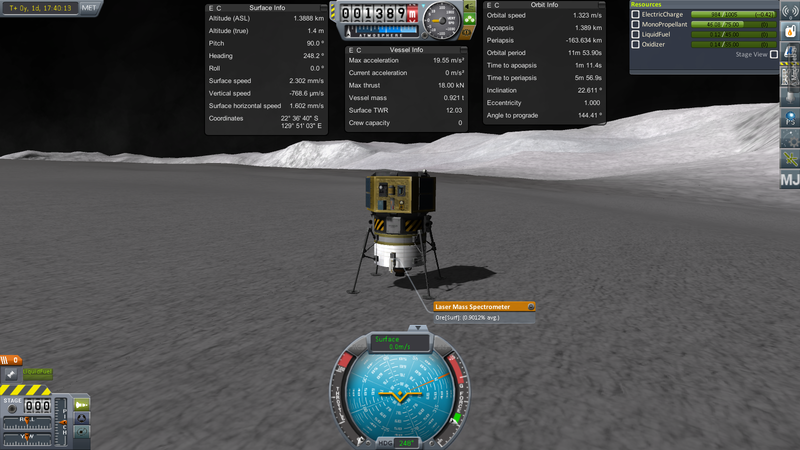 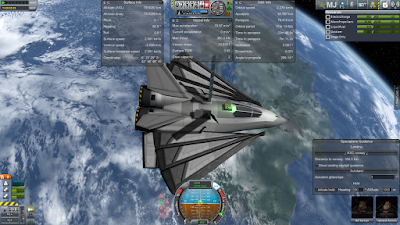 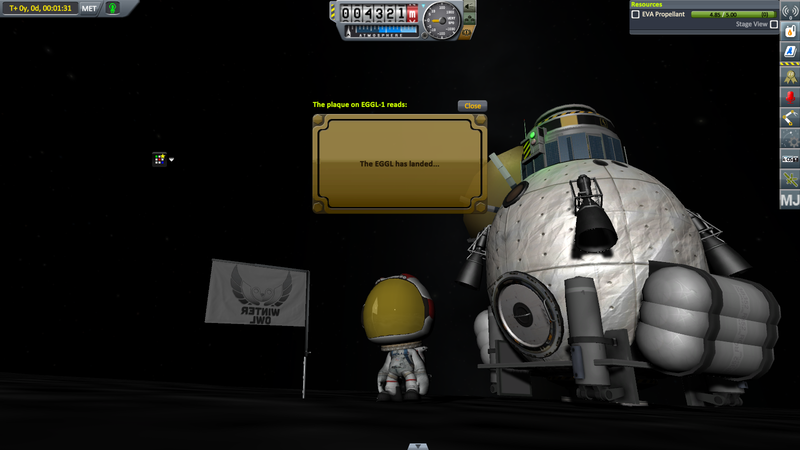 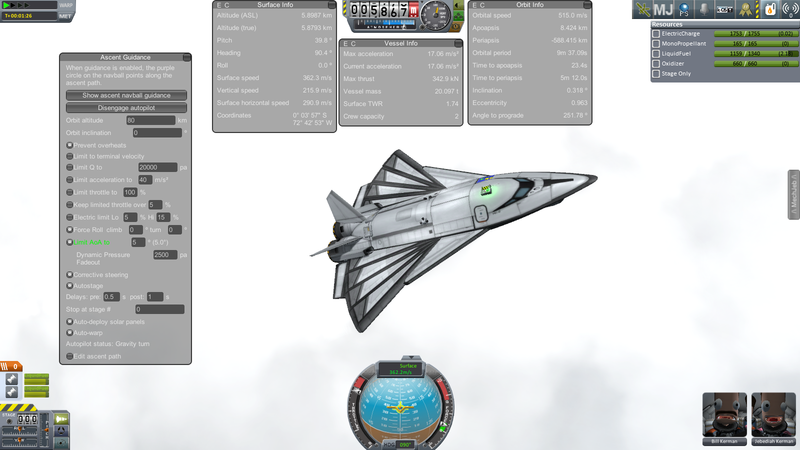 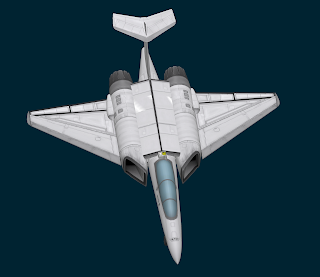 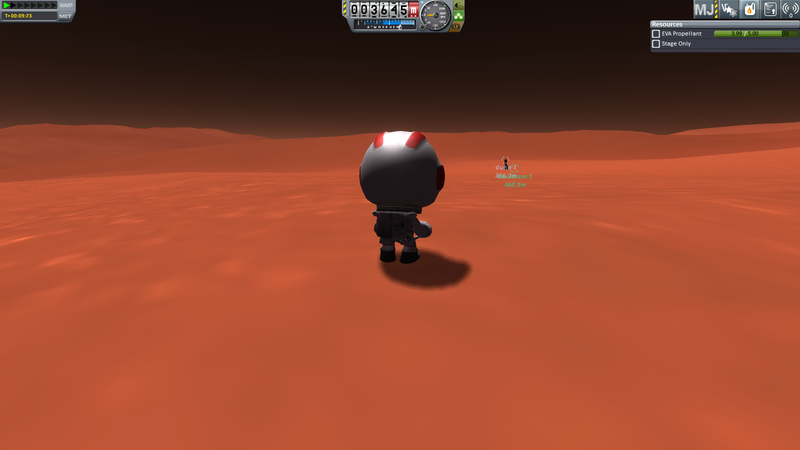 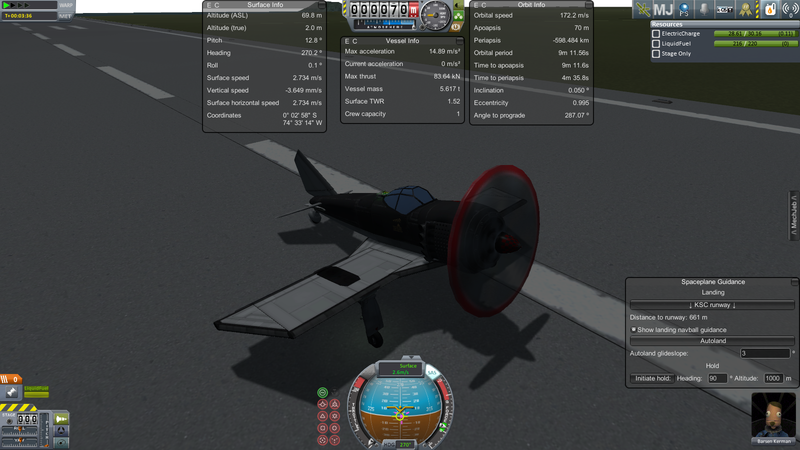 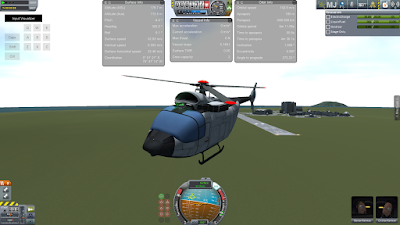 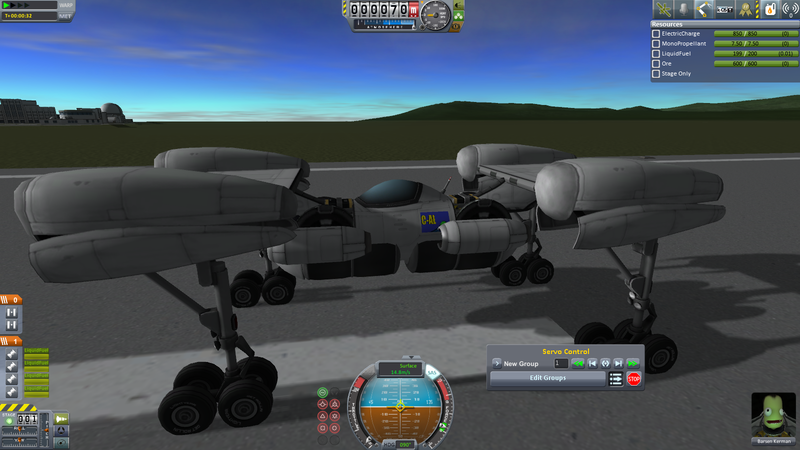 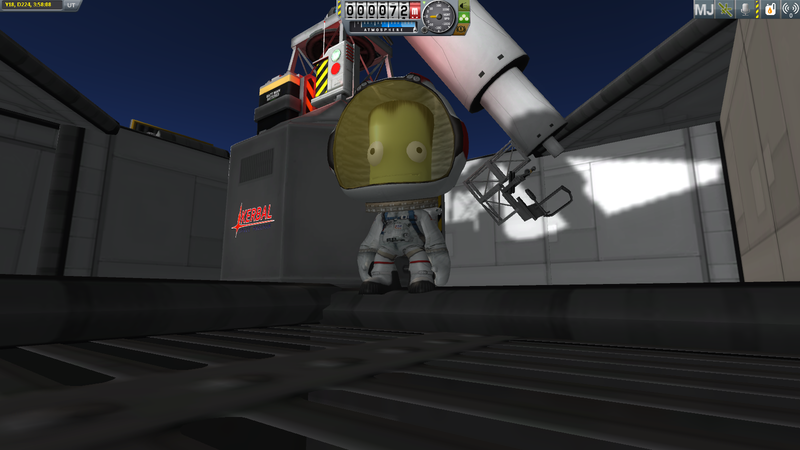 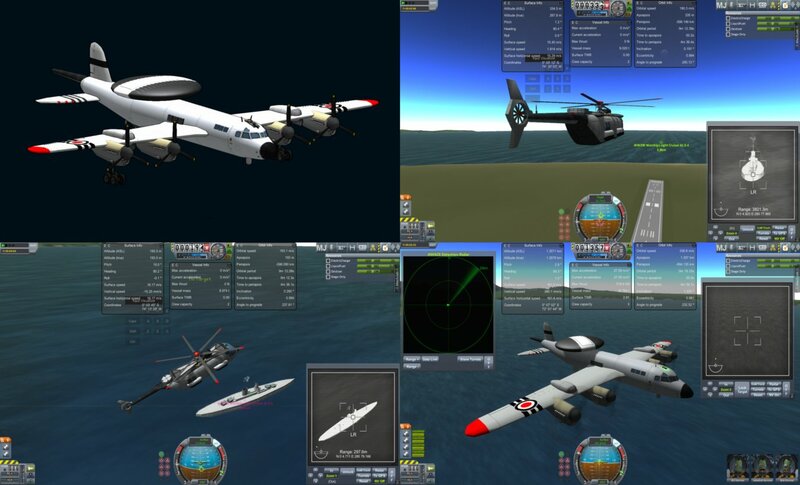 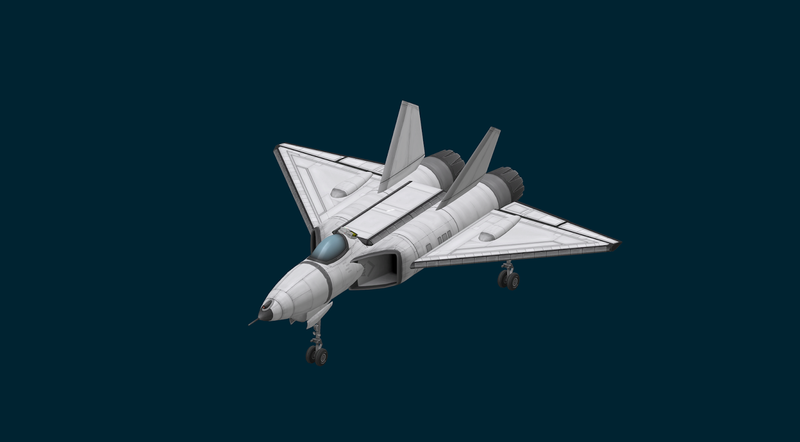 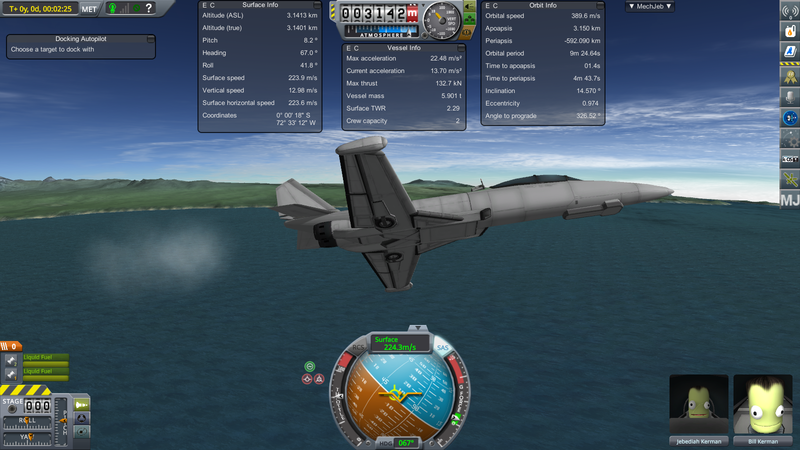 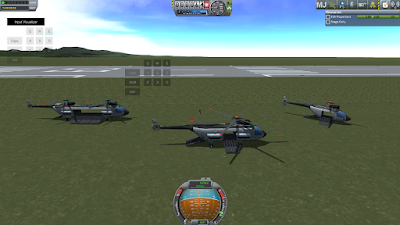 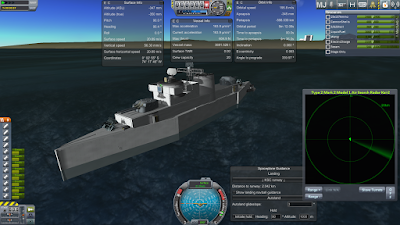 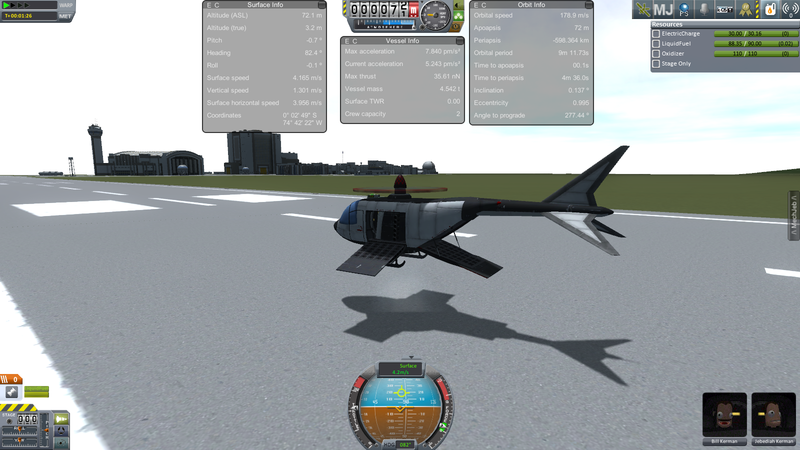 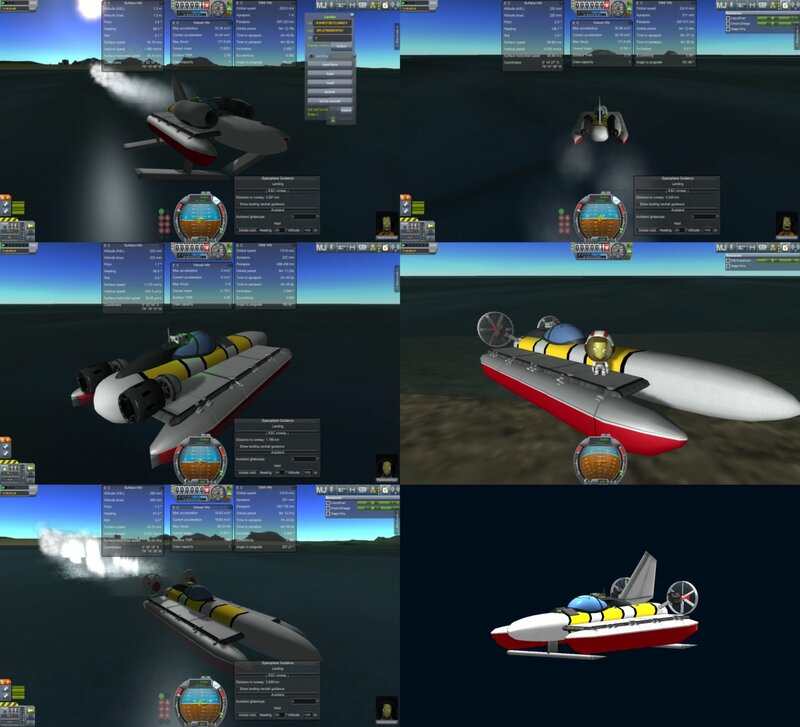 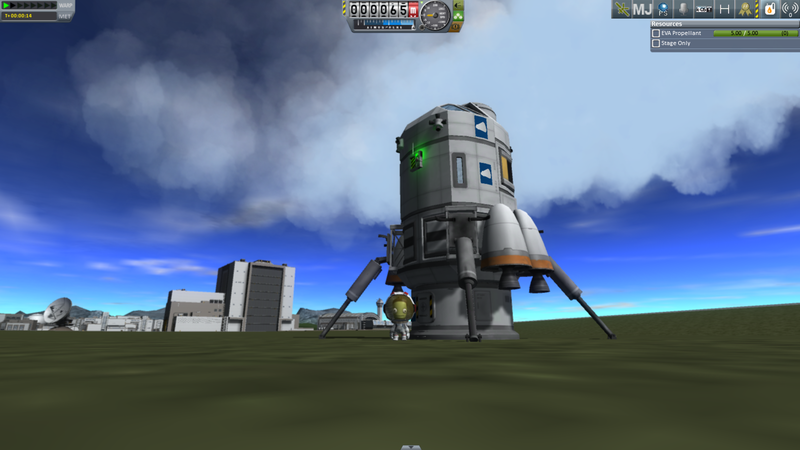 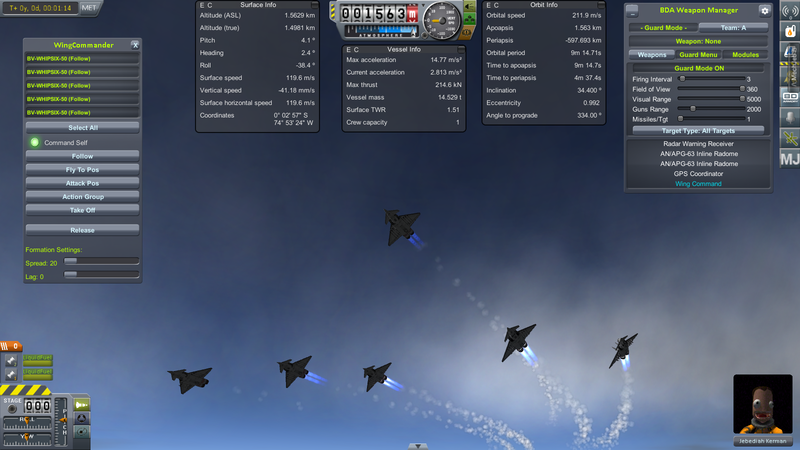 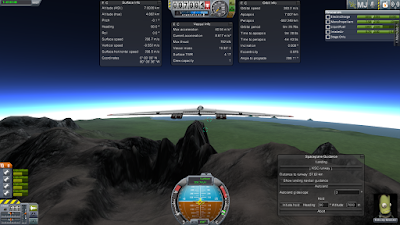 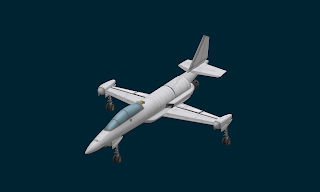 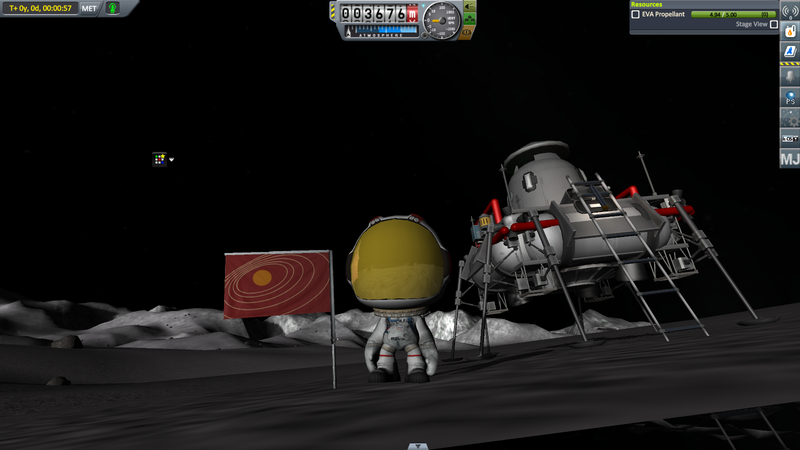 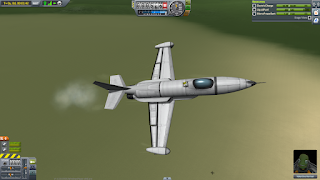 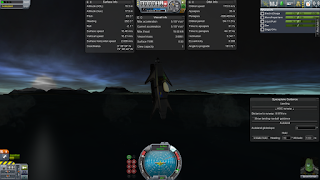 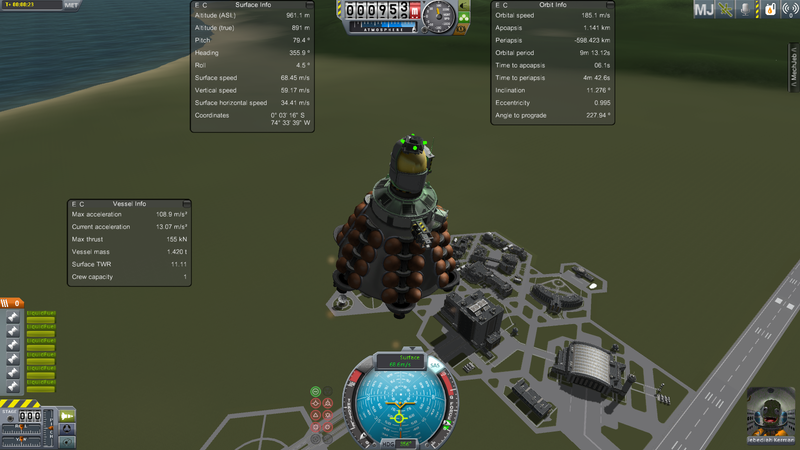 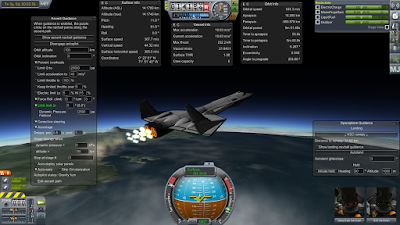 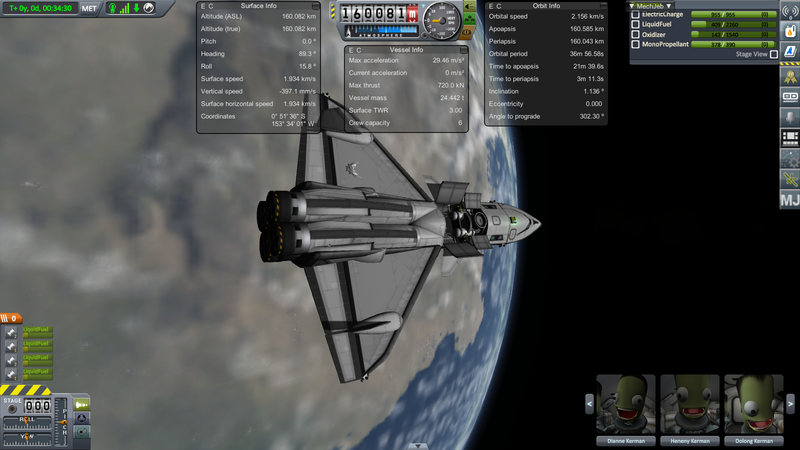 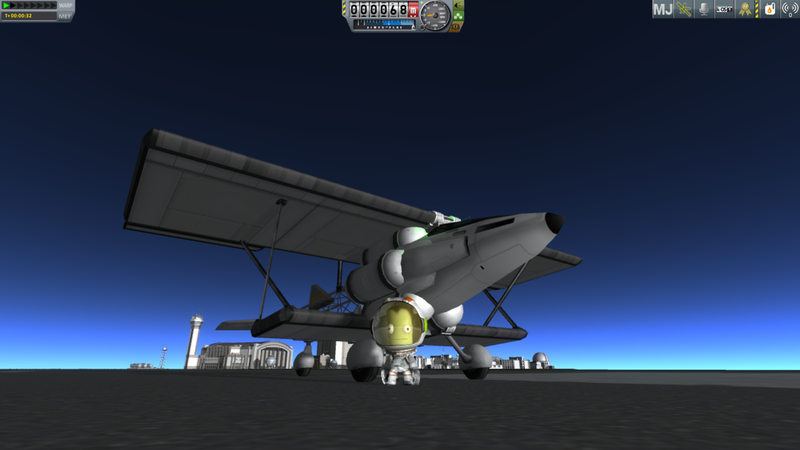 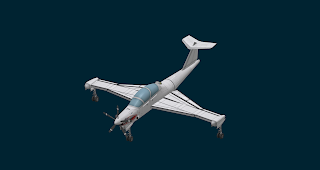 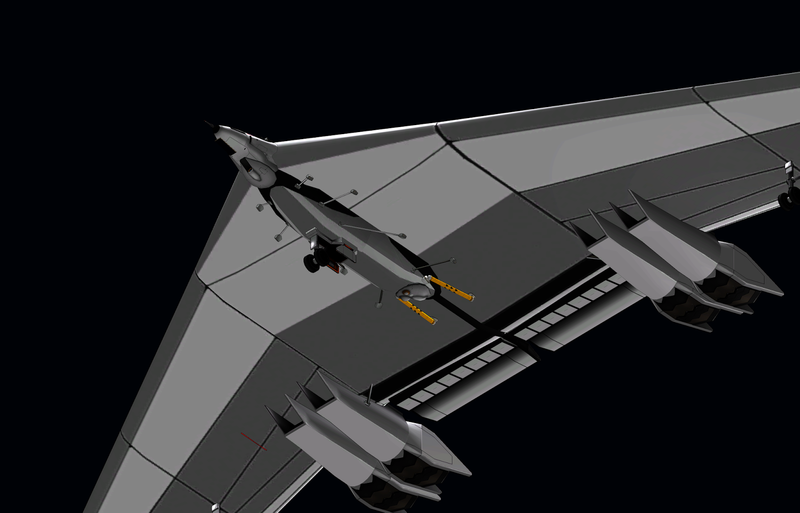 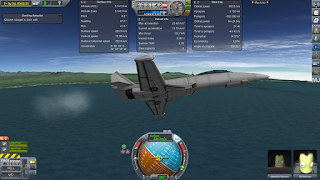 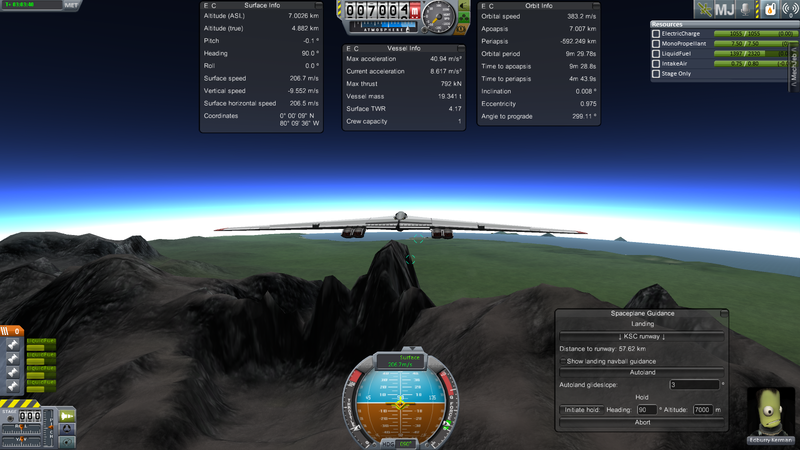 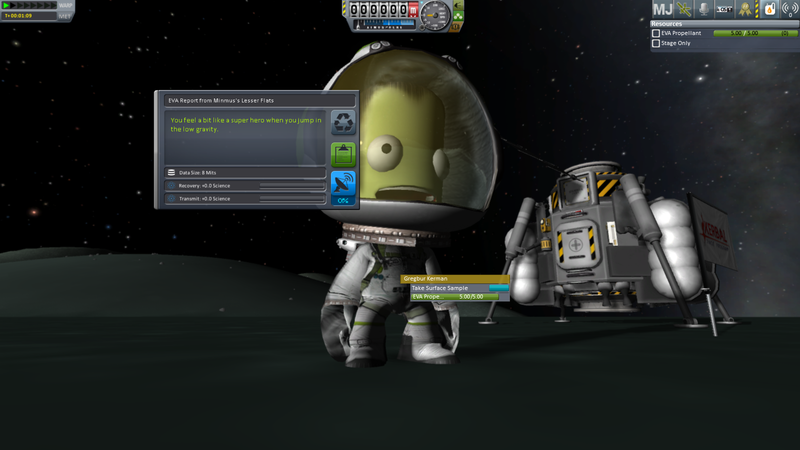 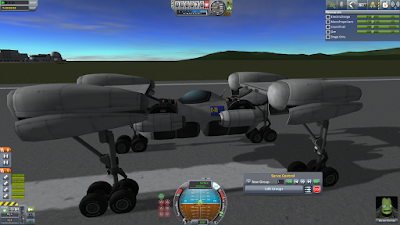 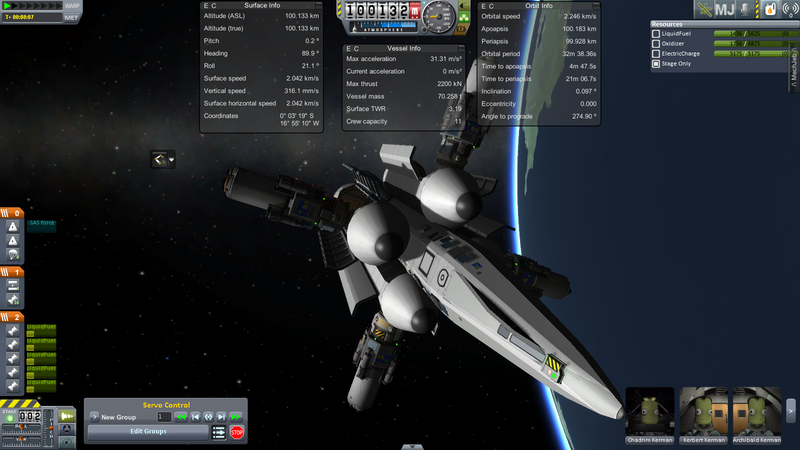 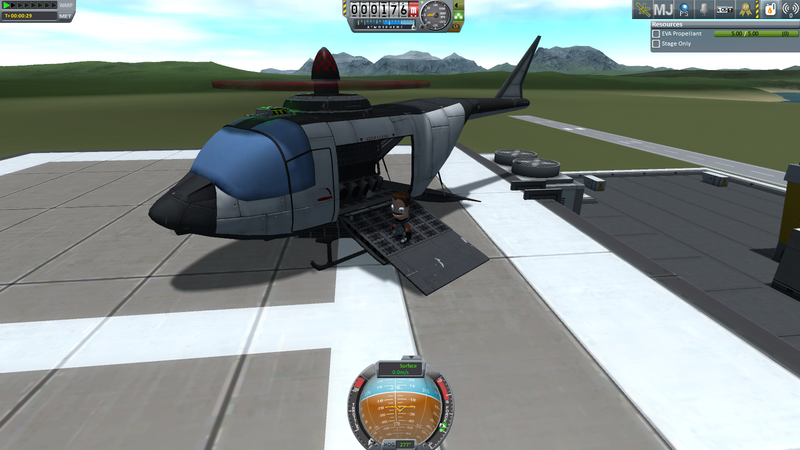 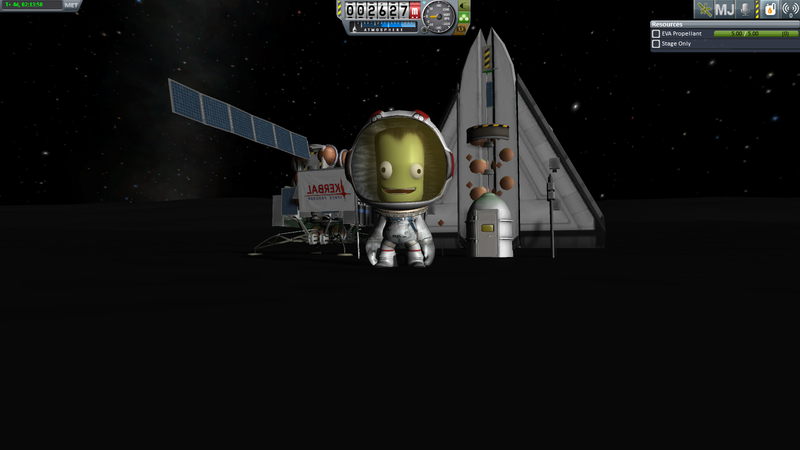 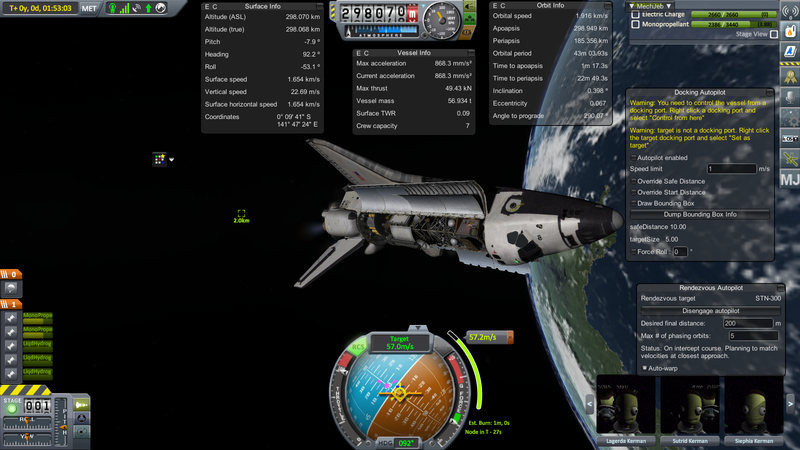 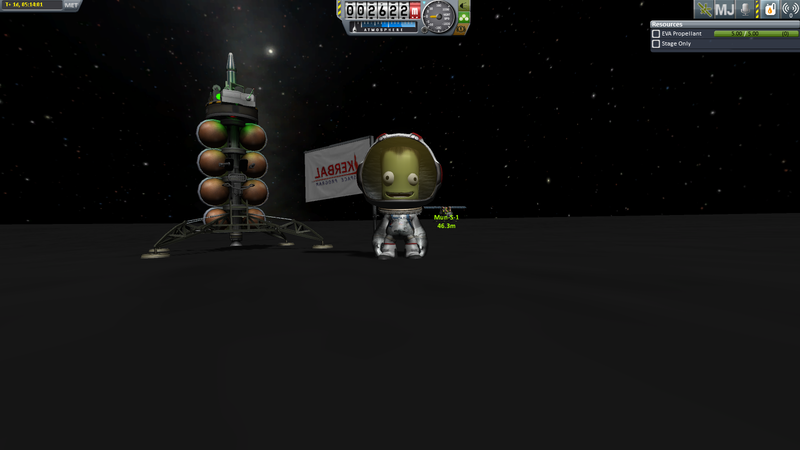 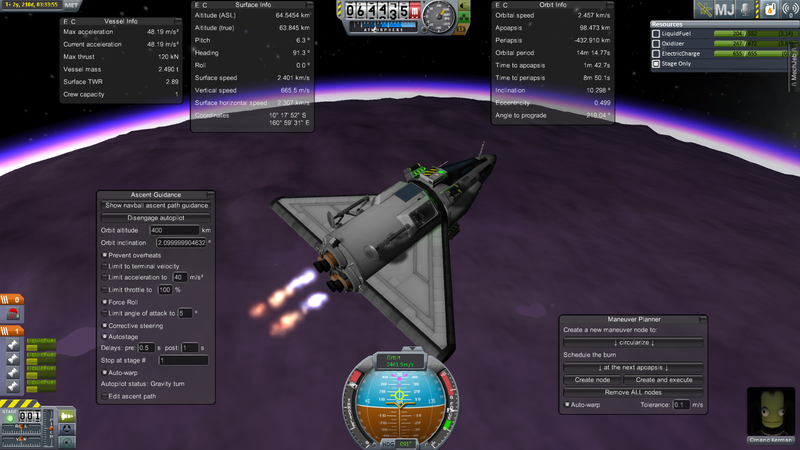 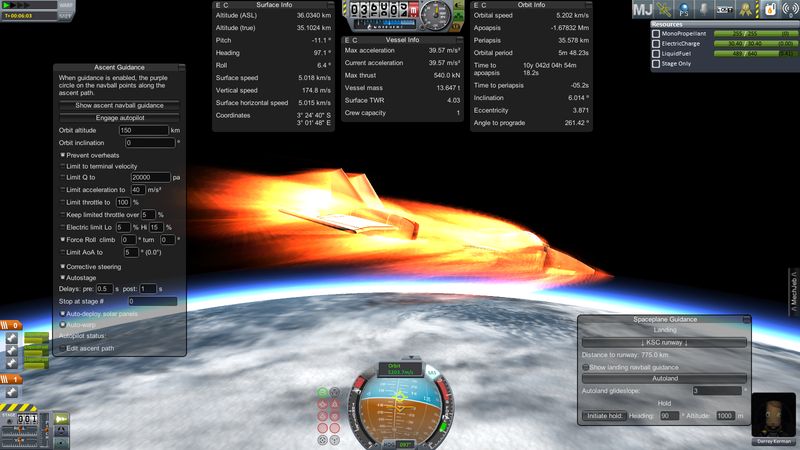 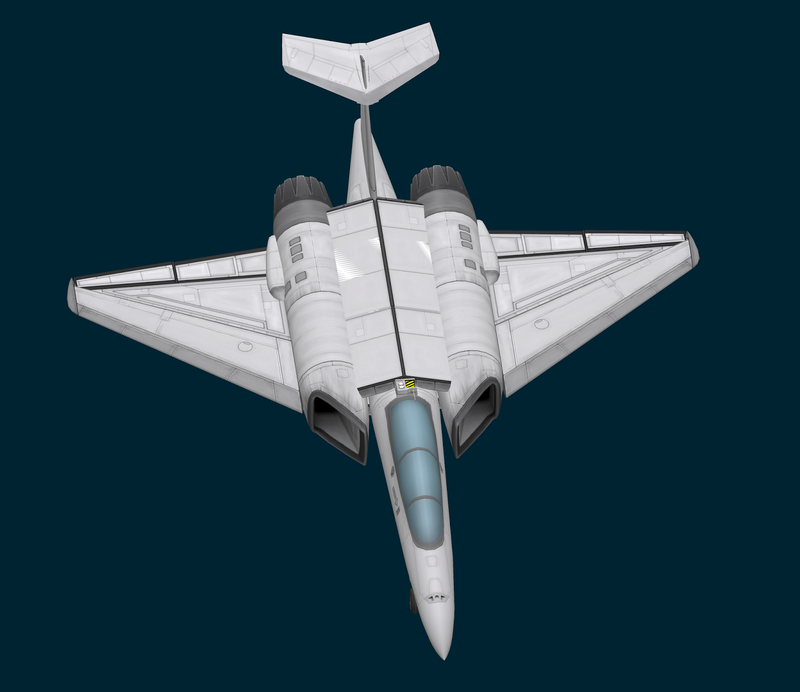 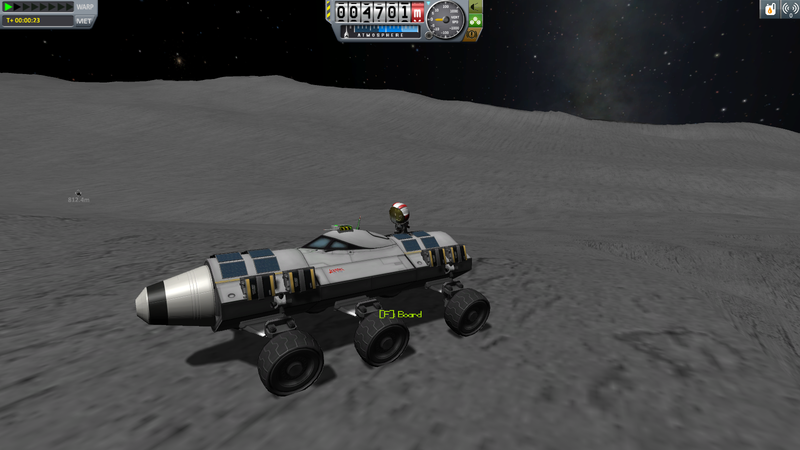 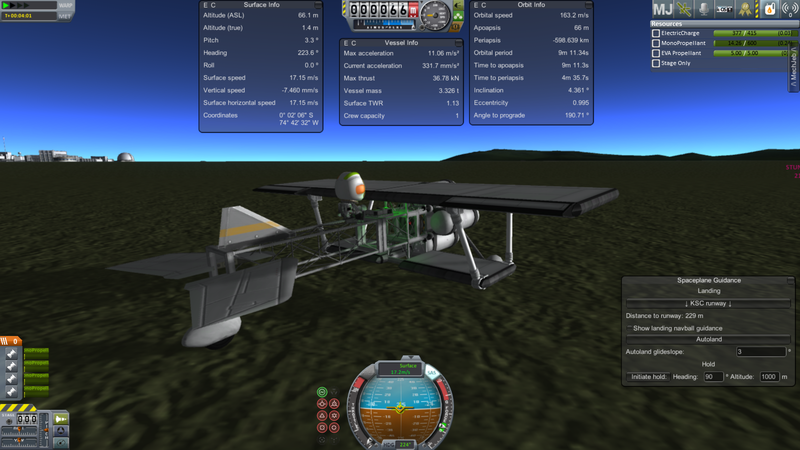 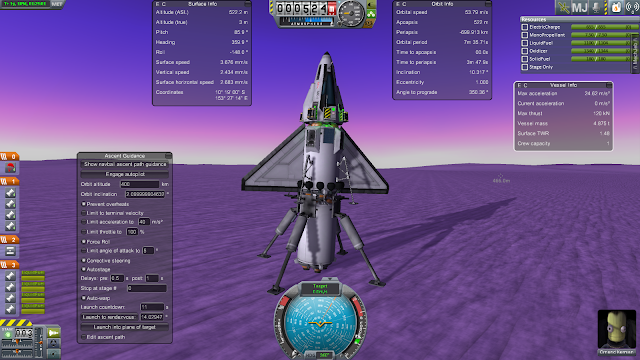 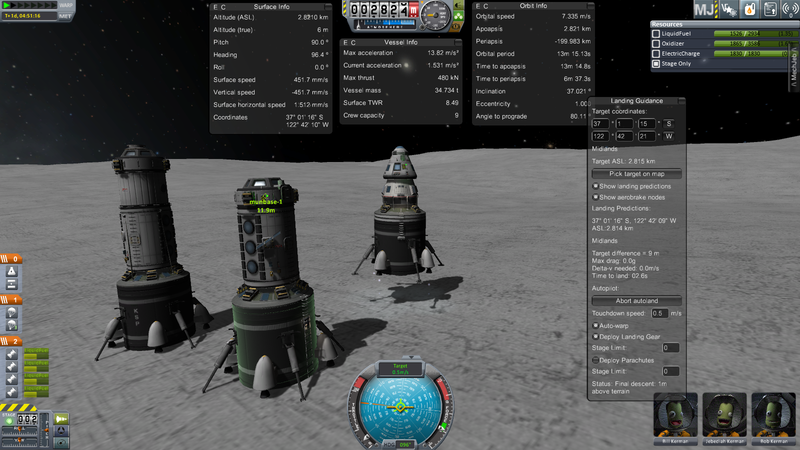 I don't think I will ever qualify for NASA, so the next best fun and easy thing is KSP. 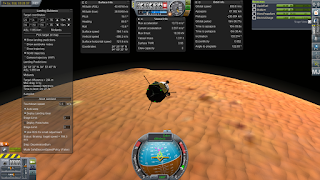 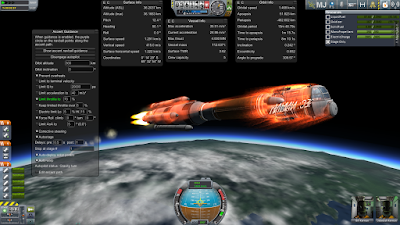 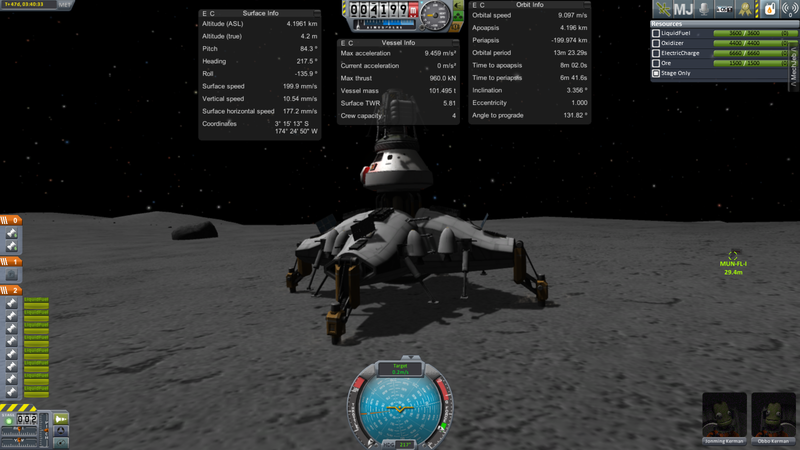 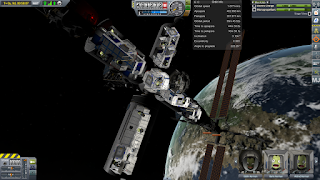 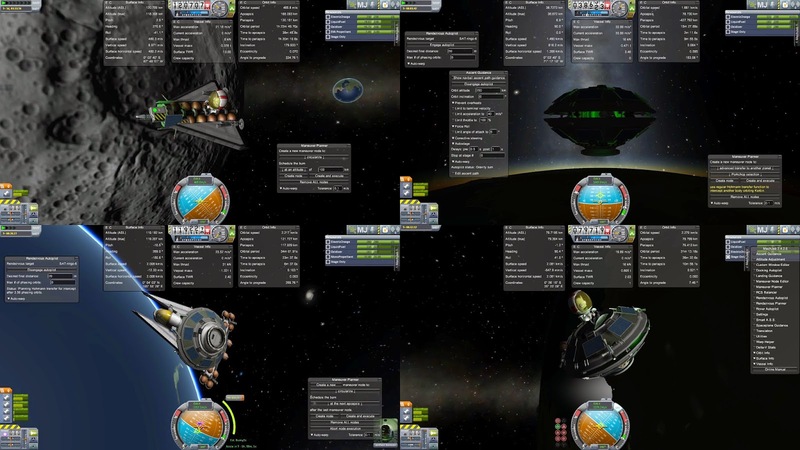 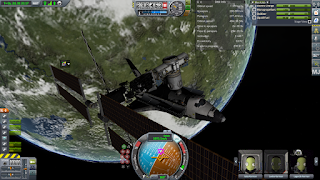 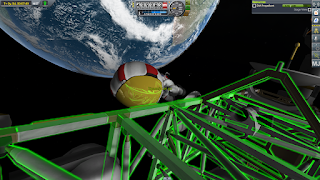 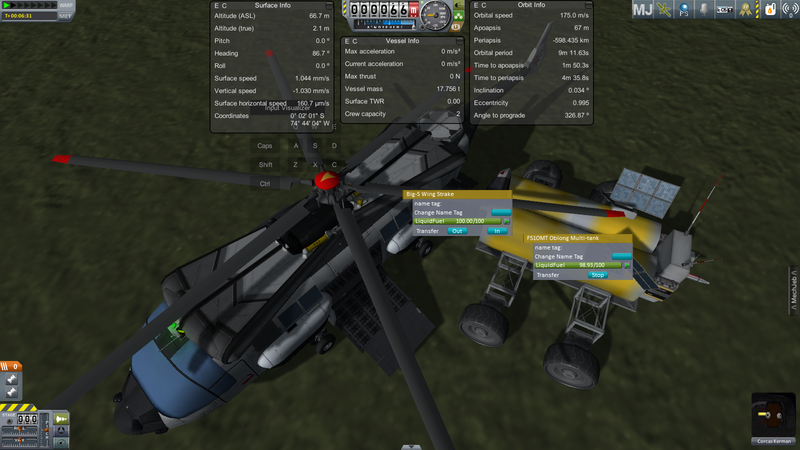 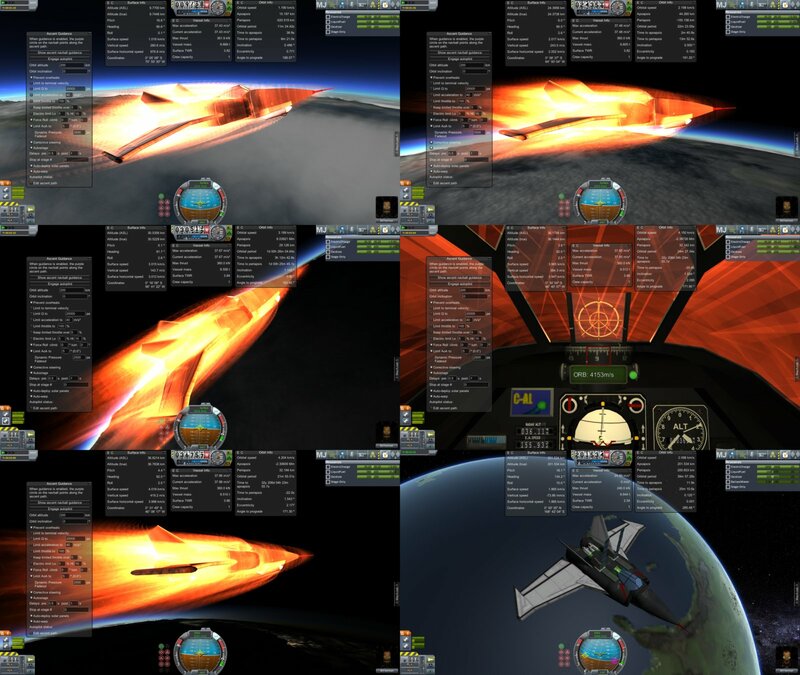 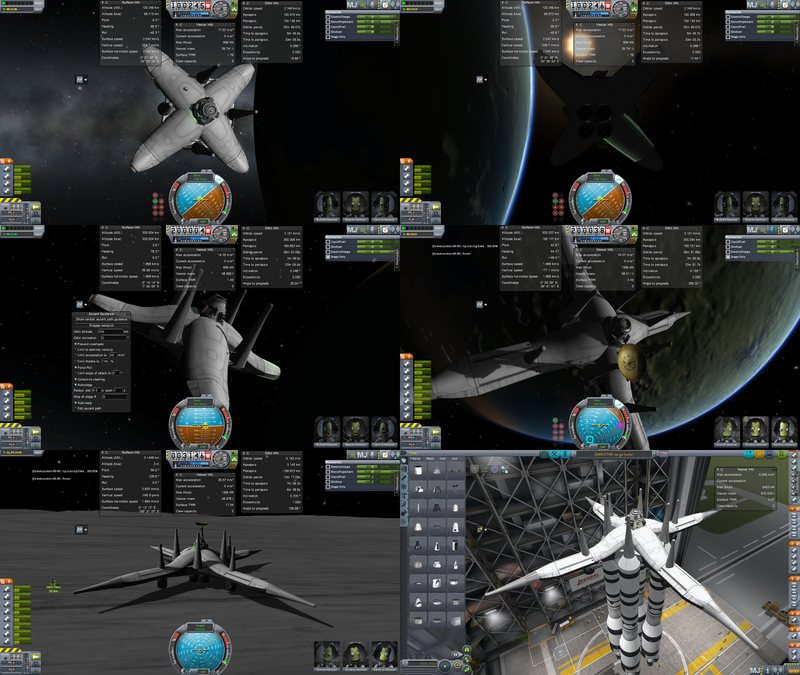 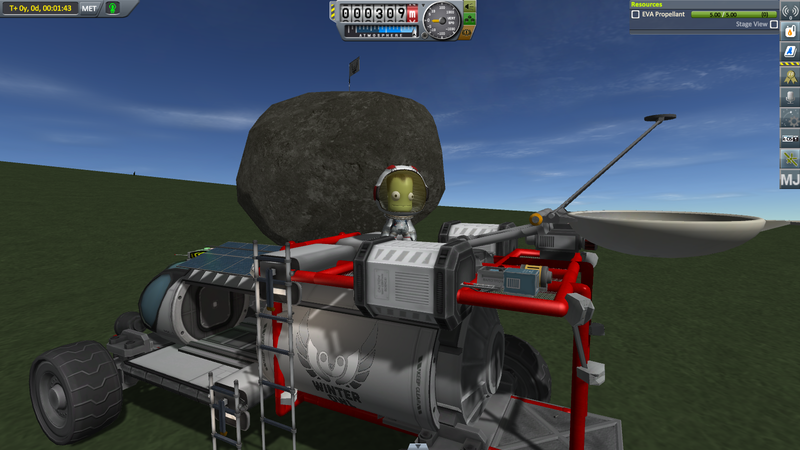 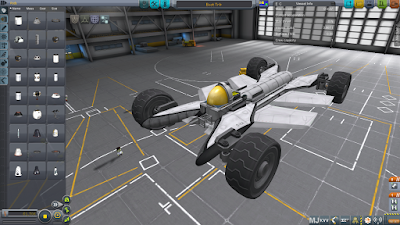 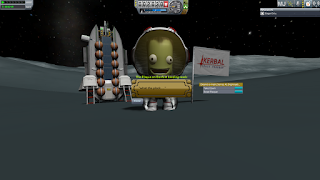 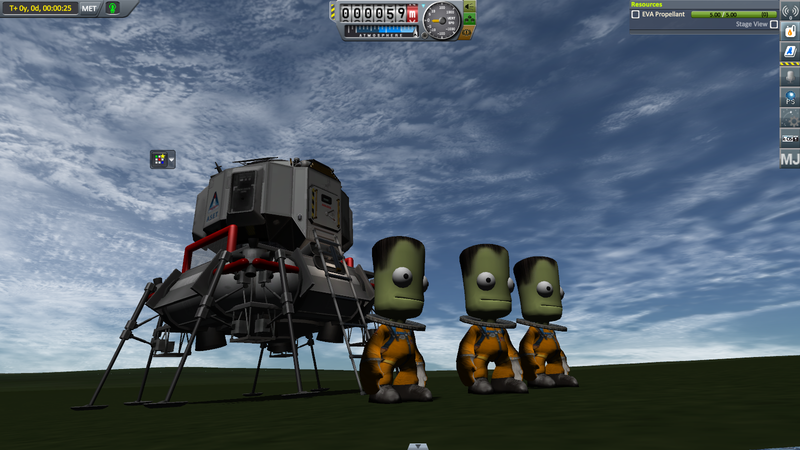 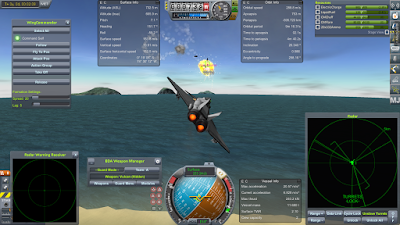 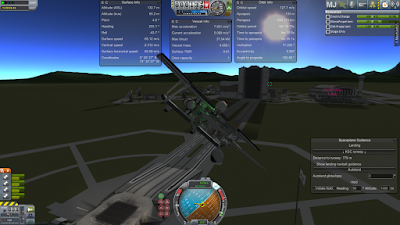 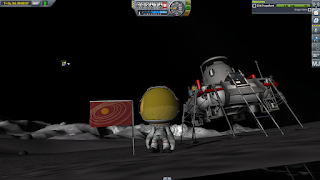 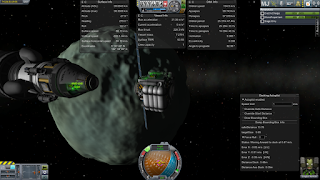 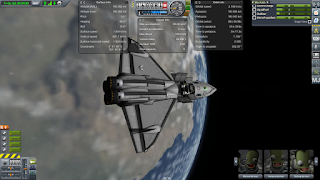 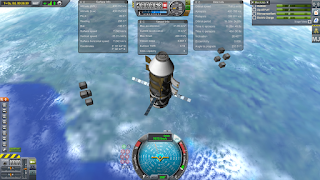 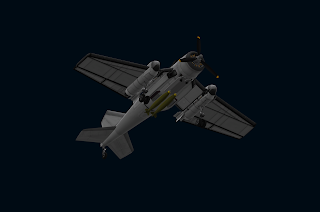 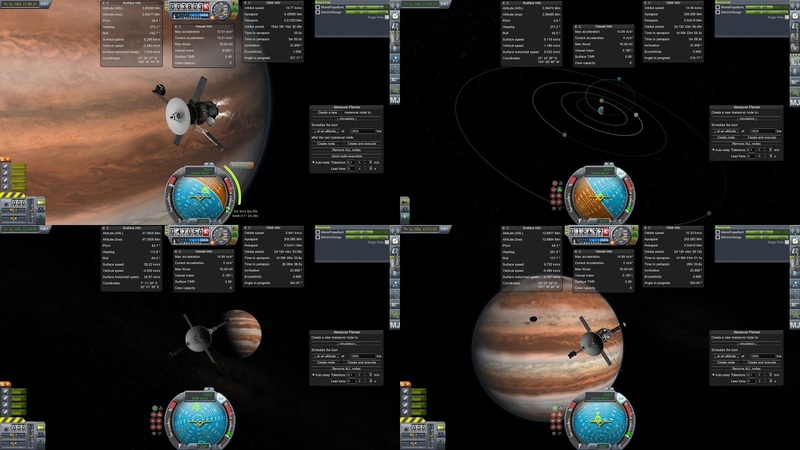 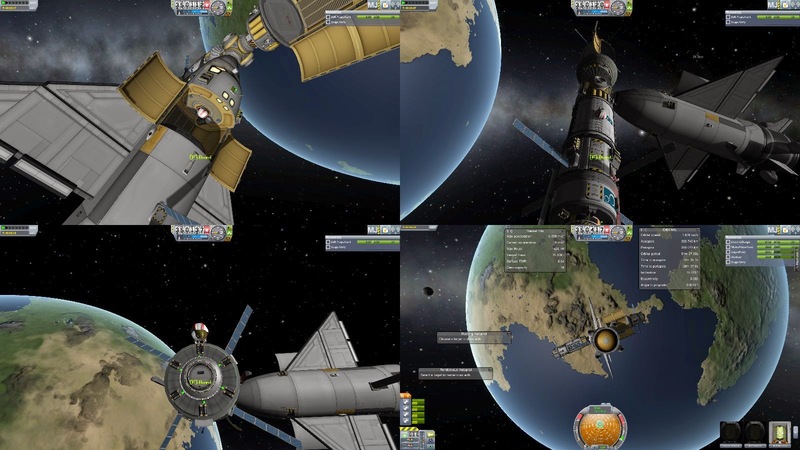 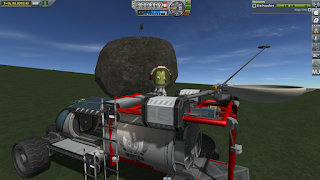 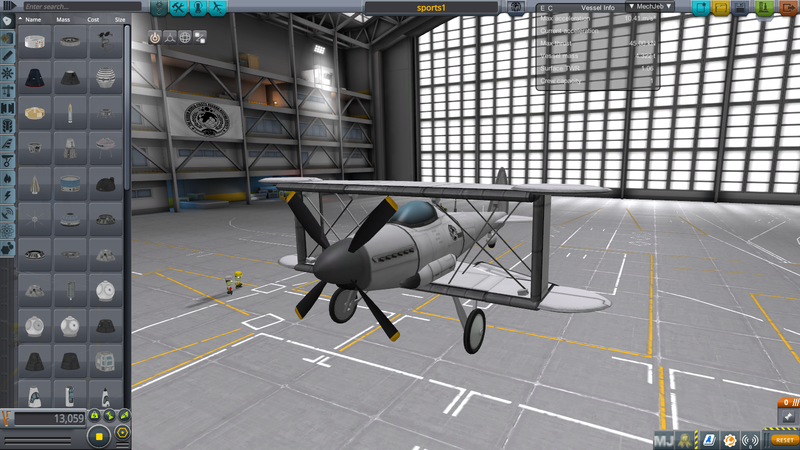 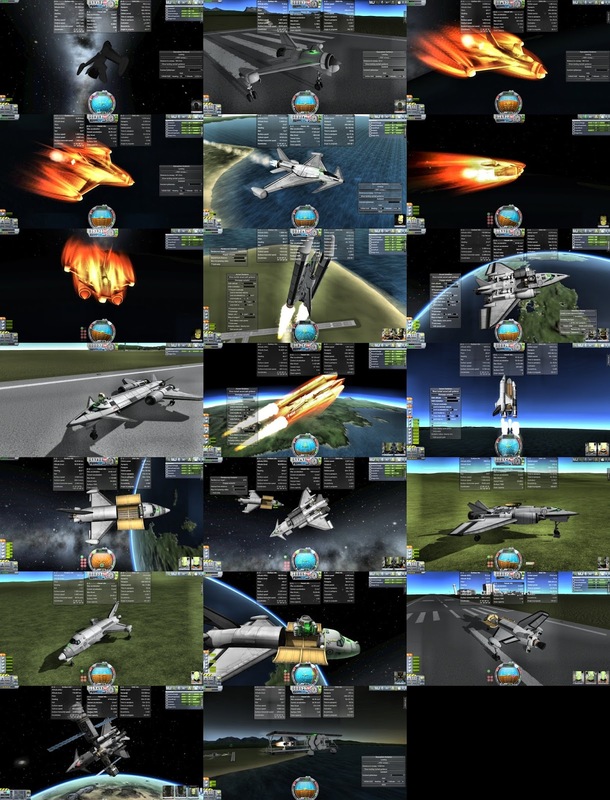 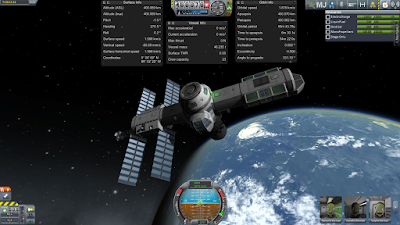 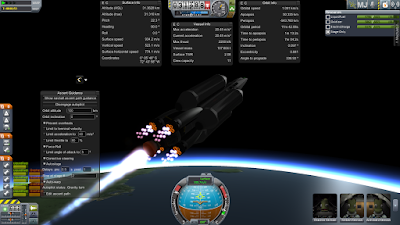 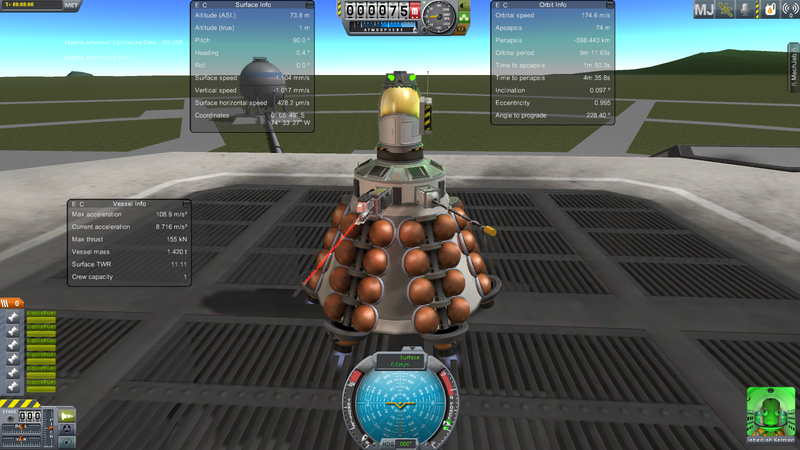 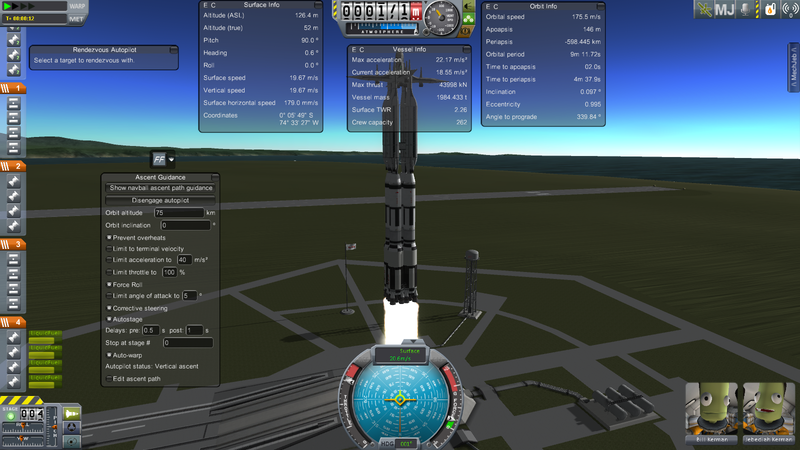 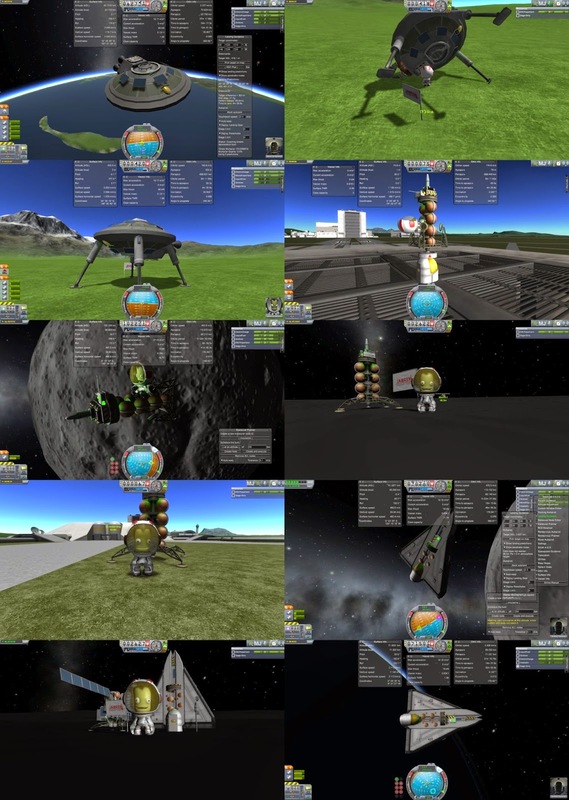 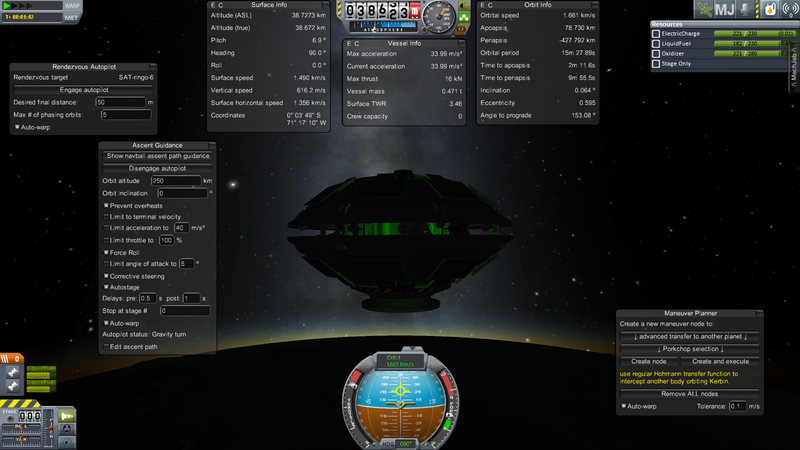 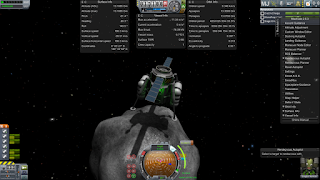 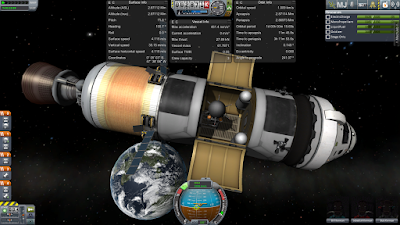 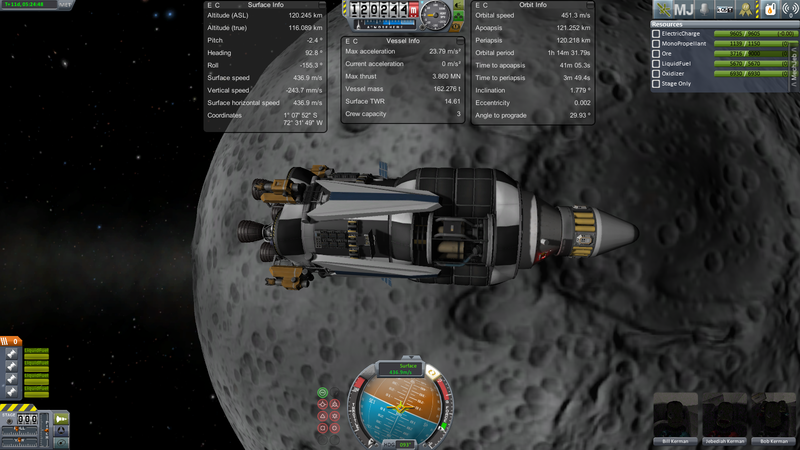 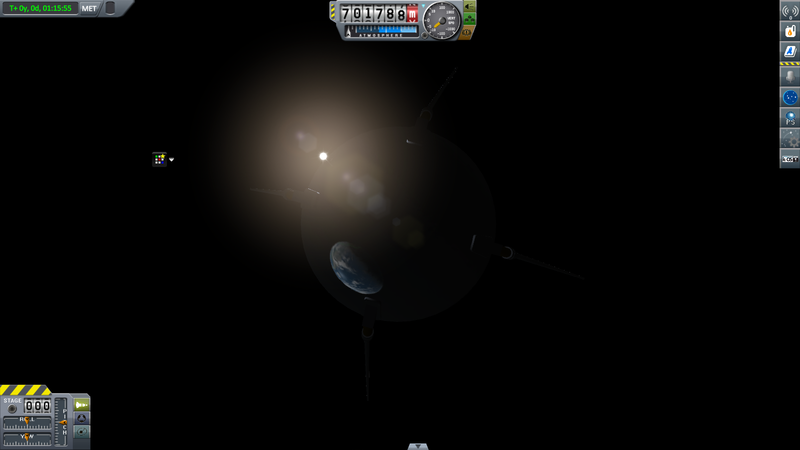 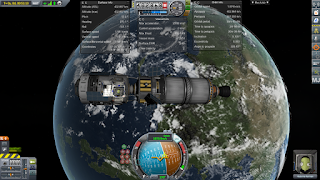 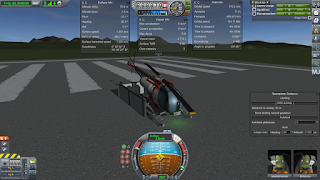 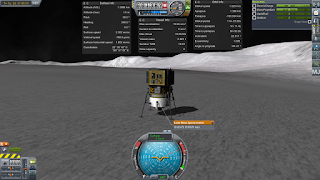 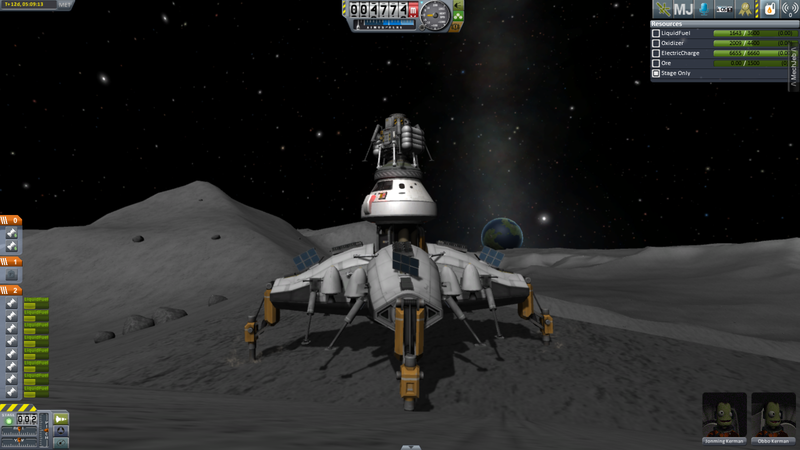 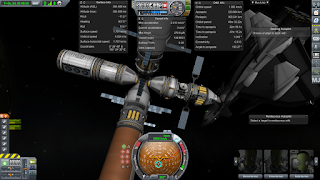 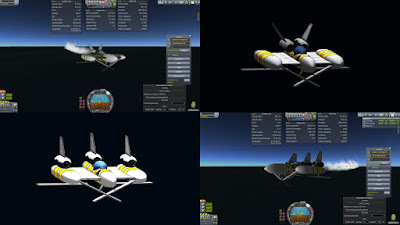 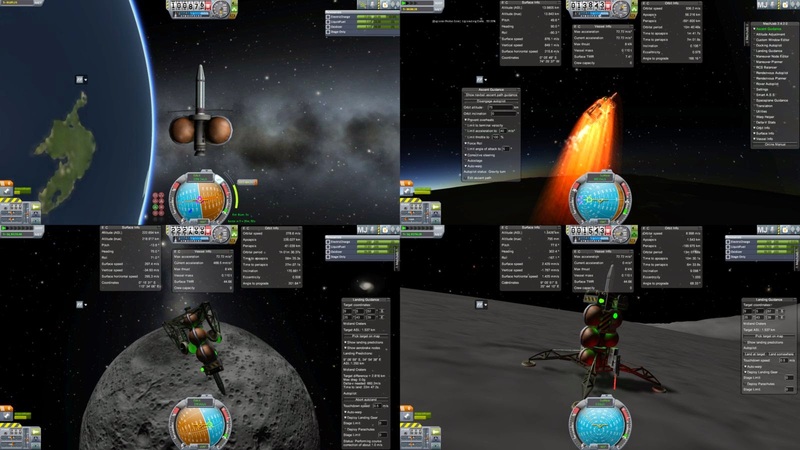 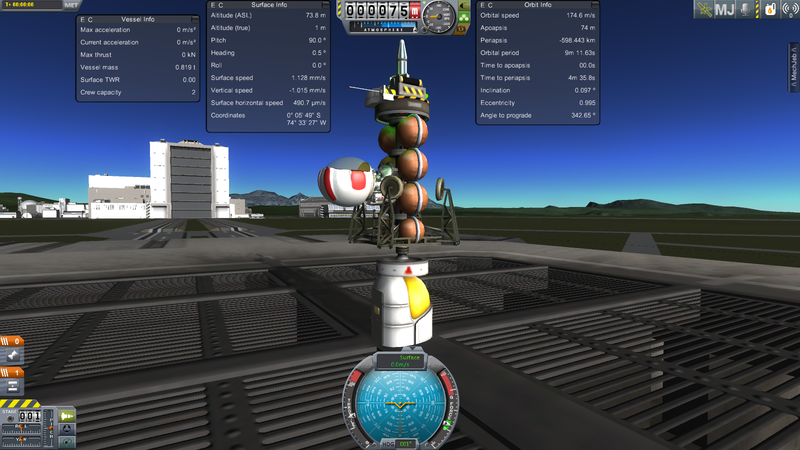 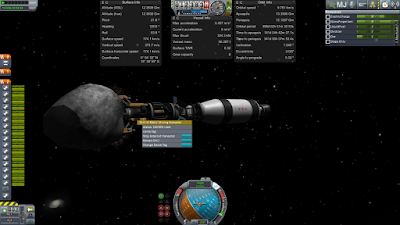 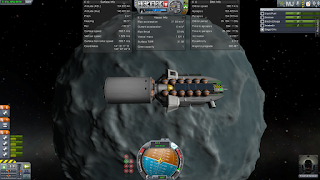 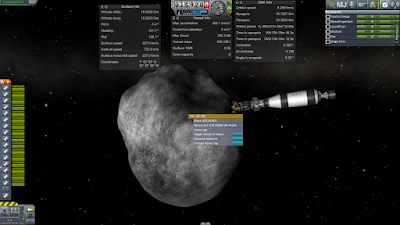 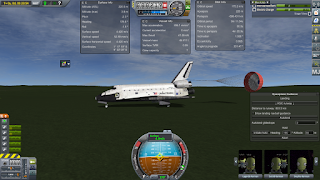 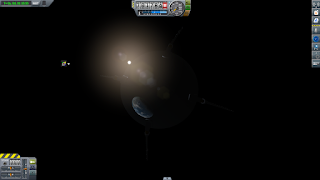 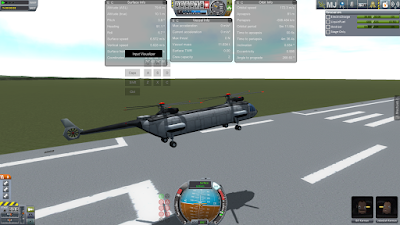 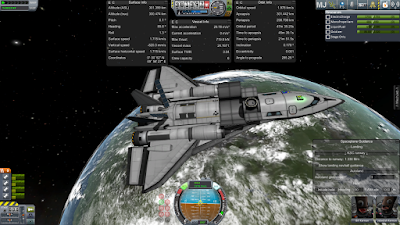 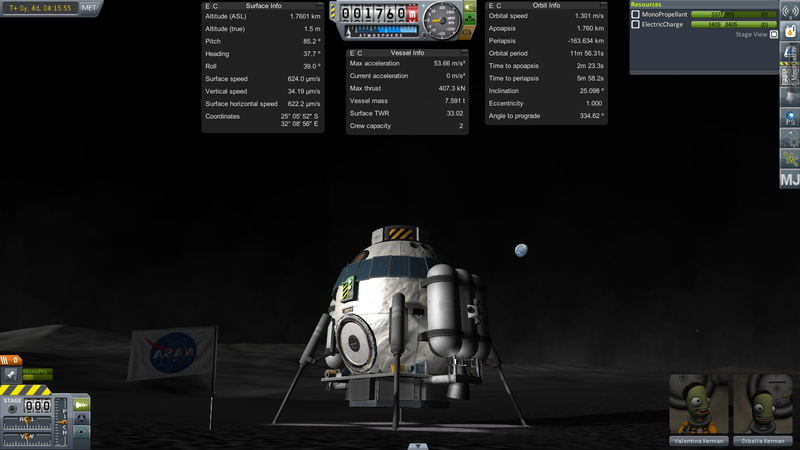 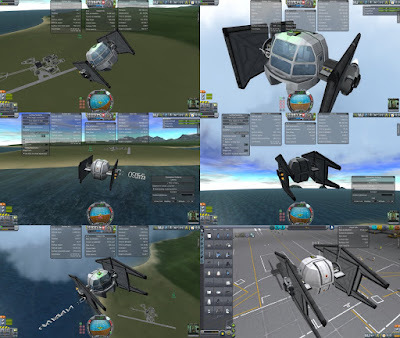 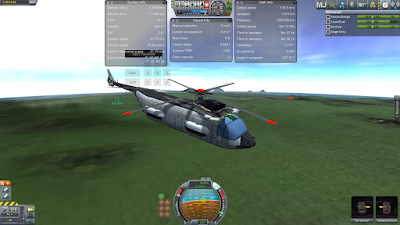 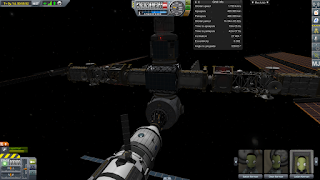 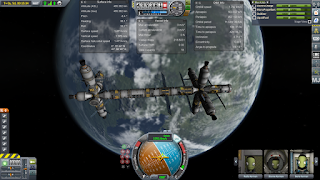 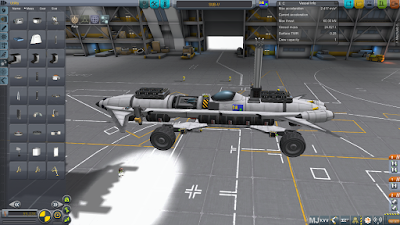 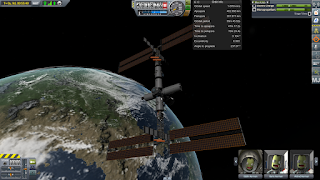 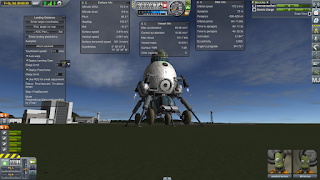 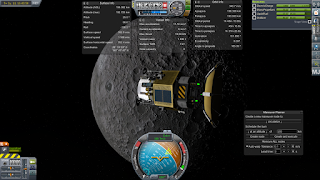 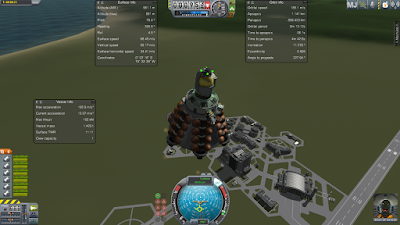 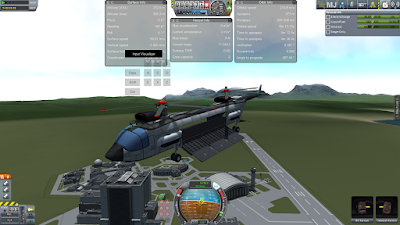 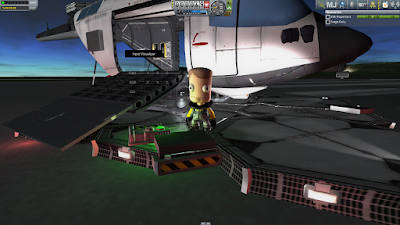 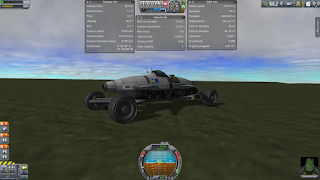 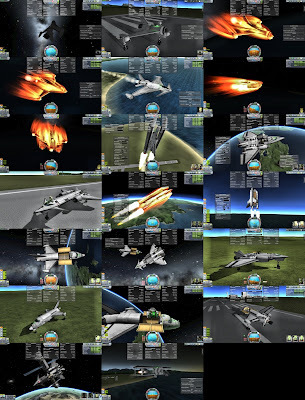 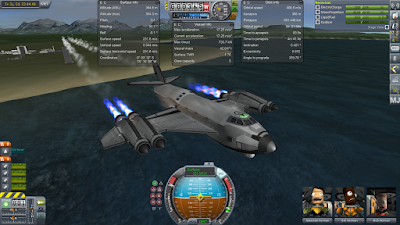 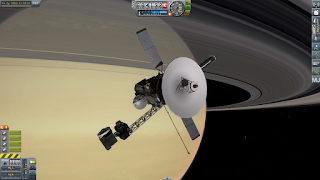 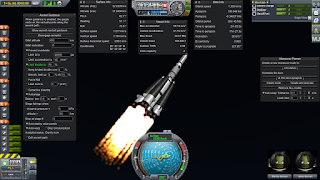 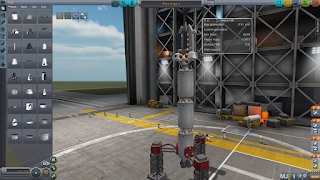 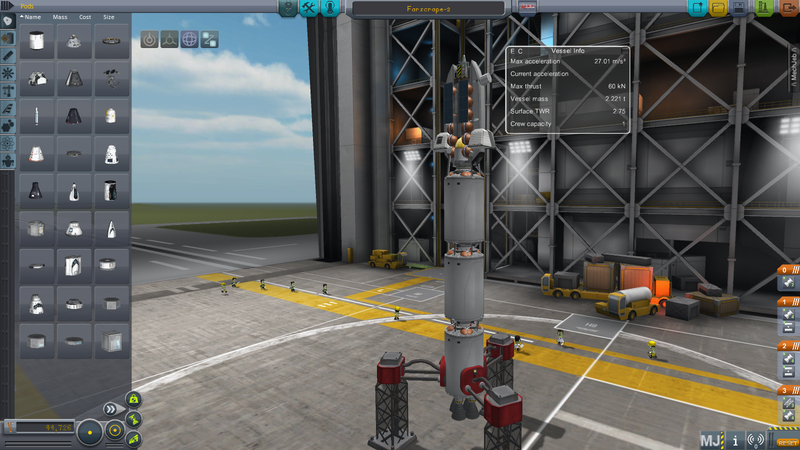 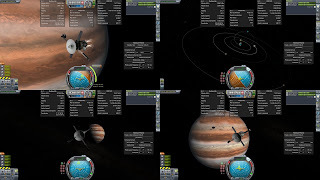 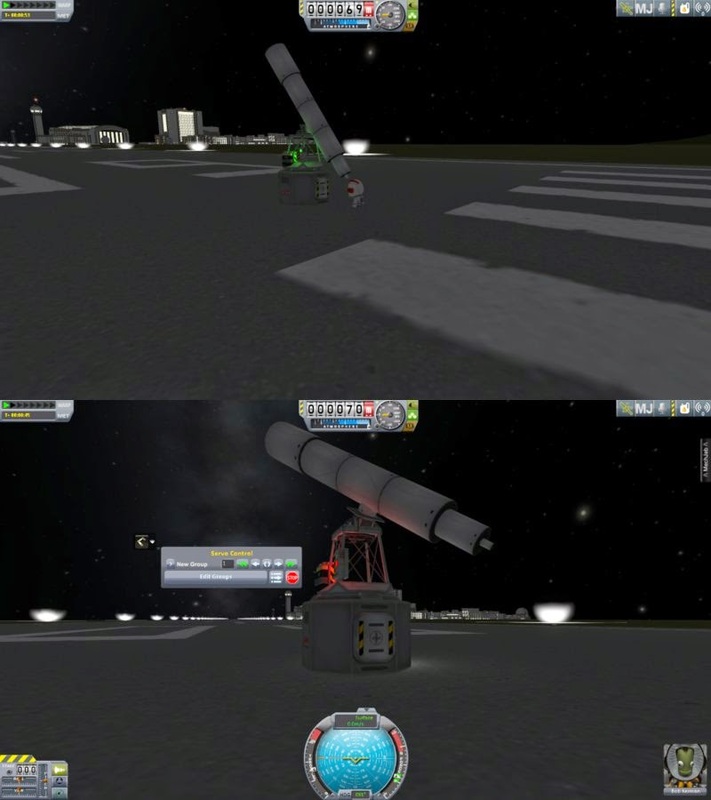 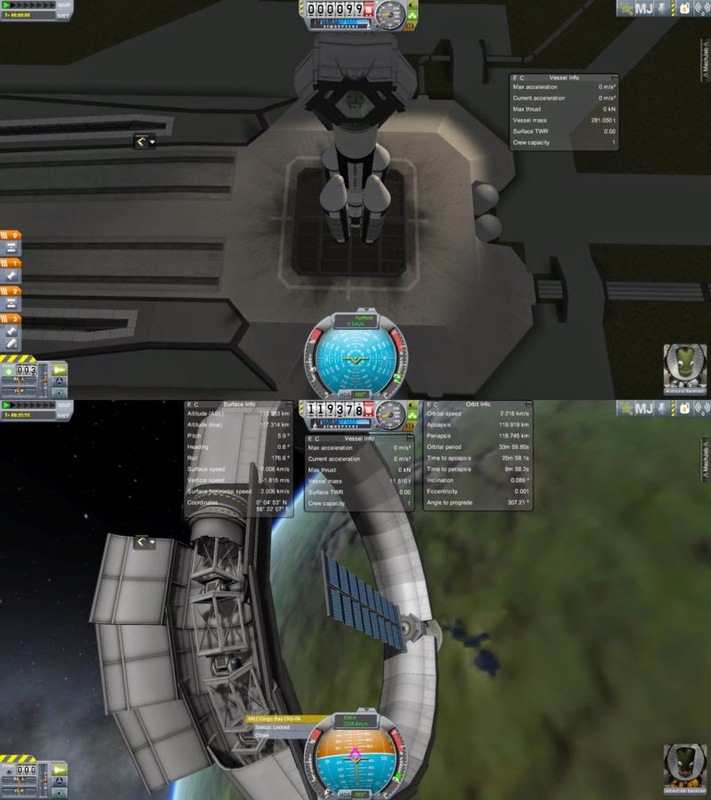 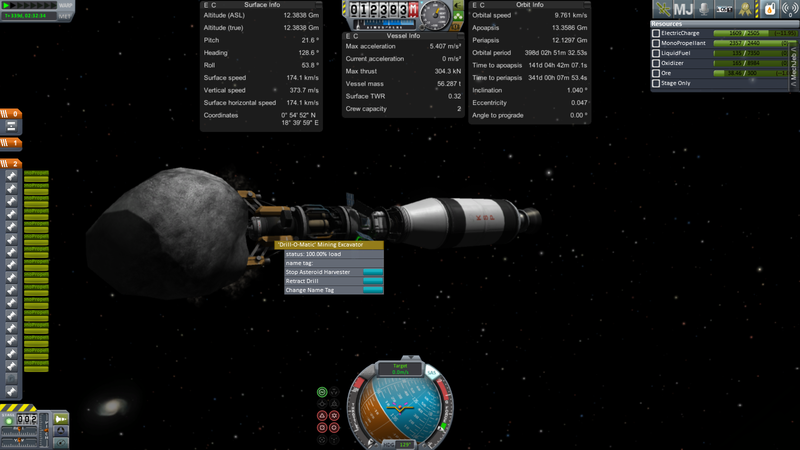 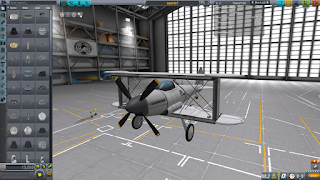 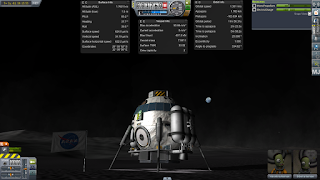 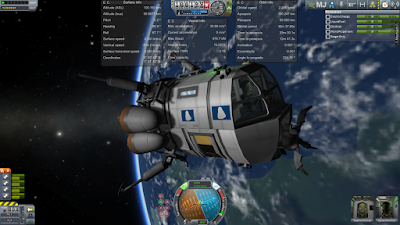 Kerbal Space Program, lets you build, launch, operate, and launch into planetary orbits you own space craft. 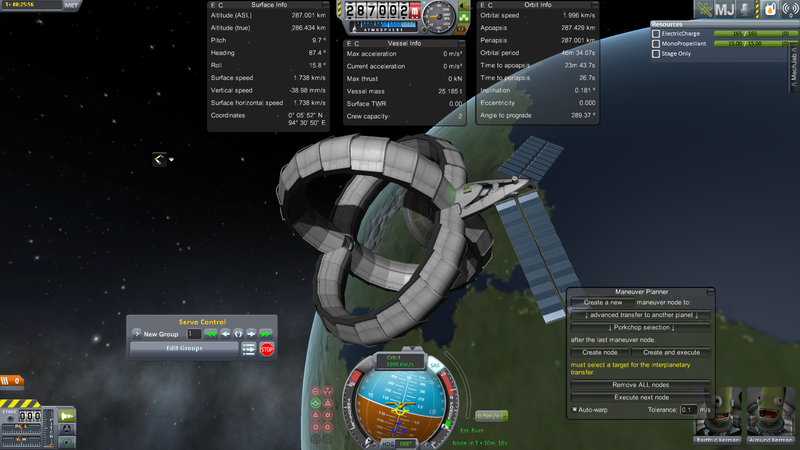 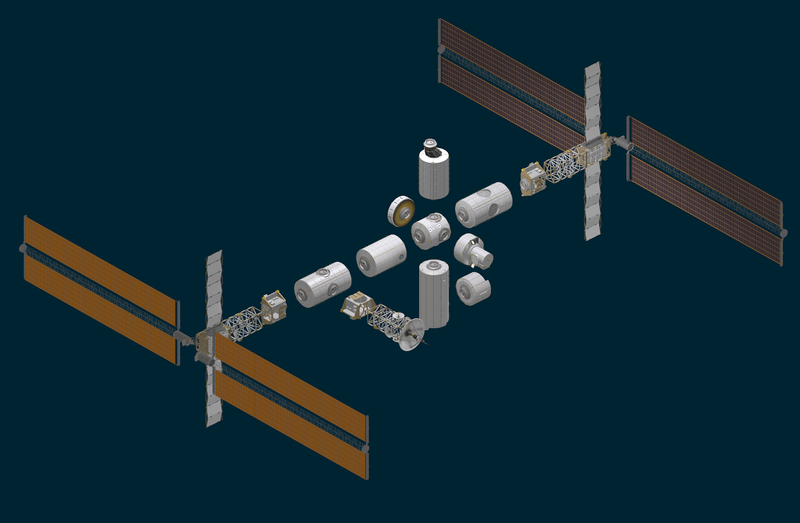 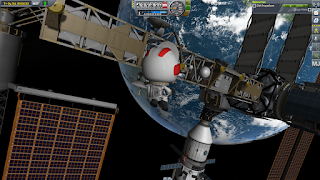 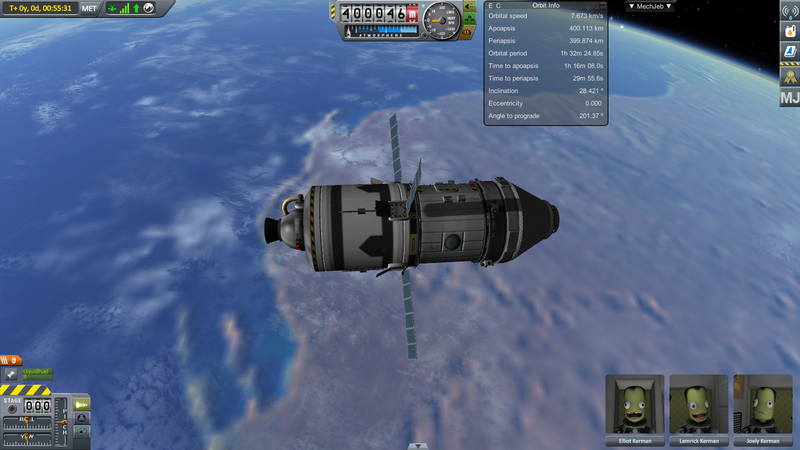 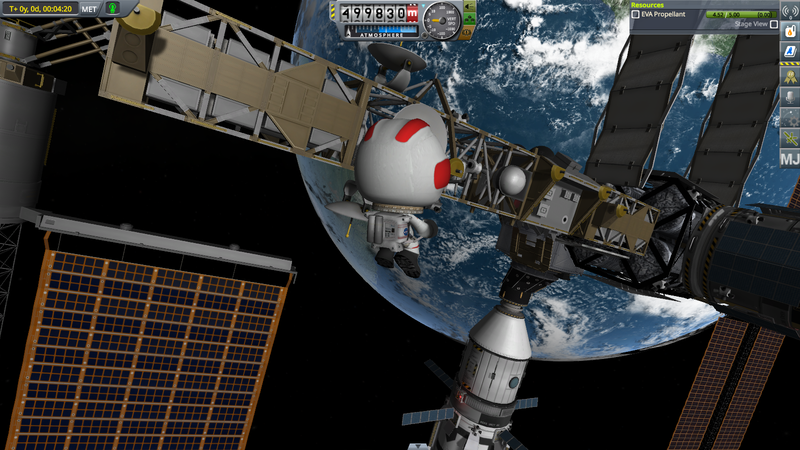 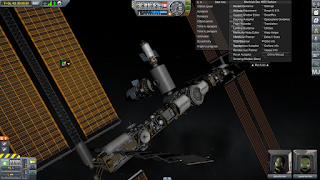 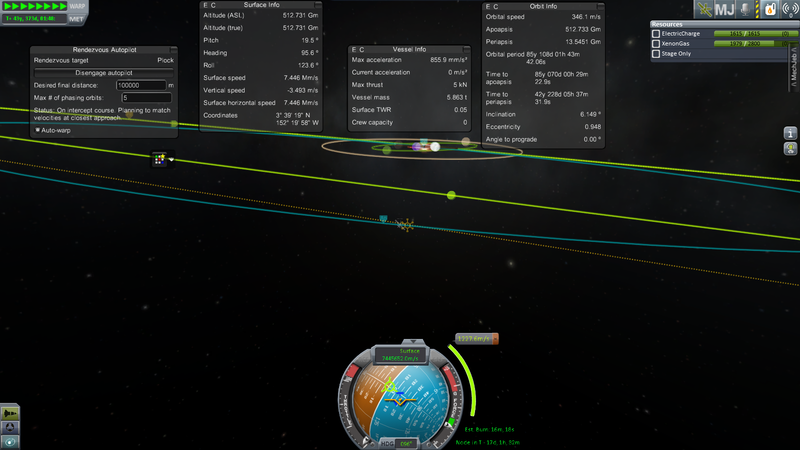 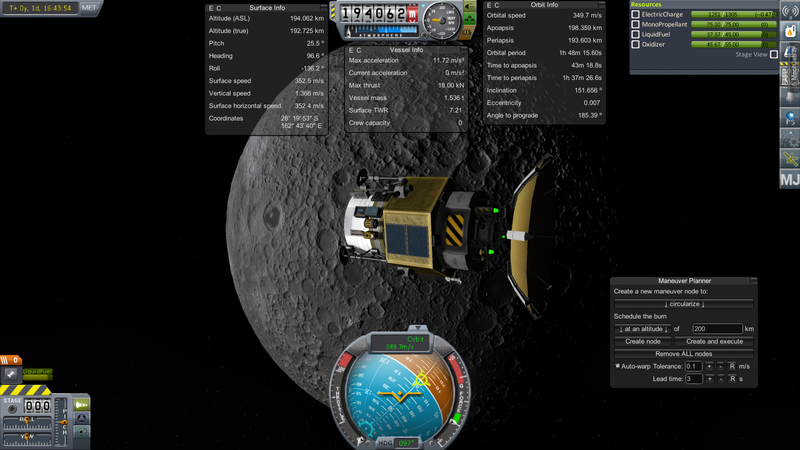 Lots of fun going through the learning curve to a stable orbit. 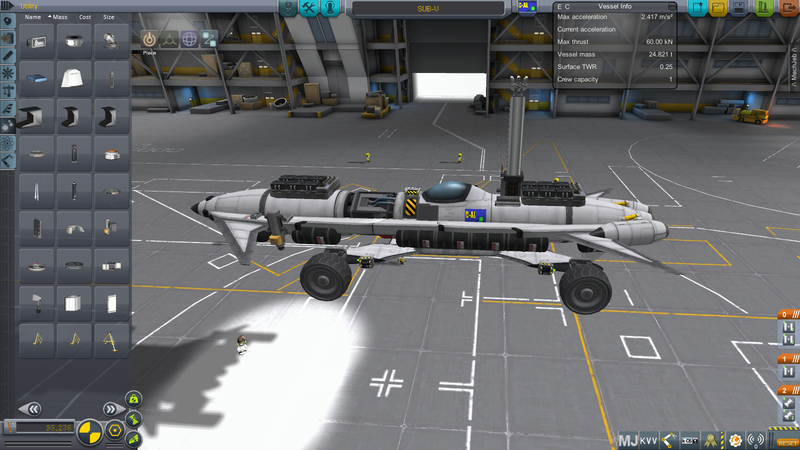 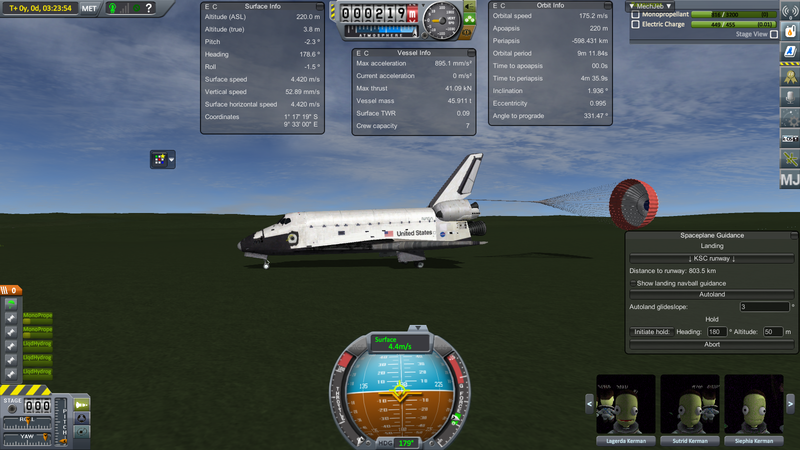 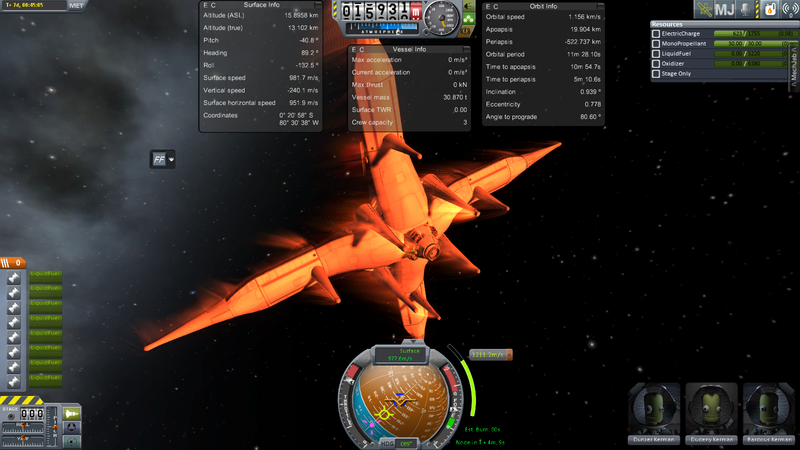 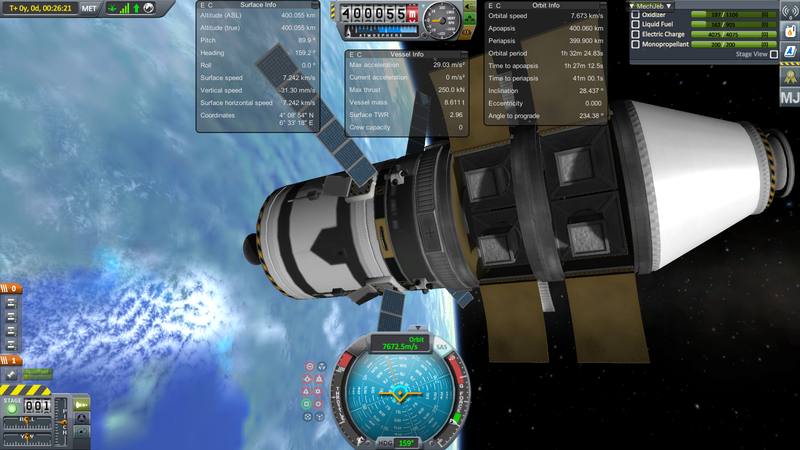 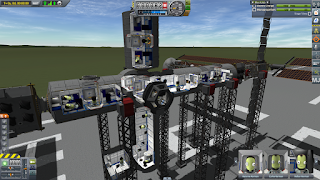 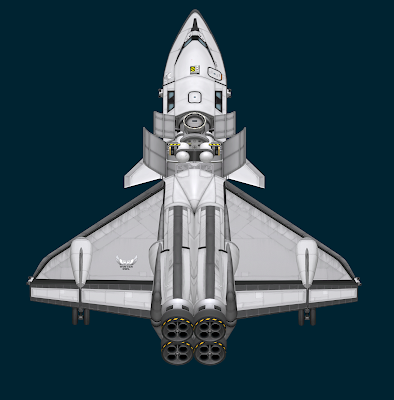 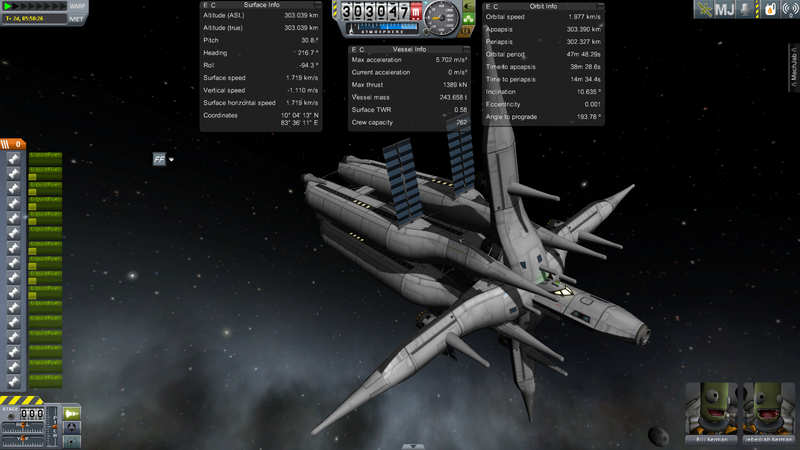 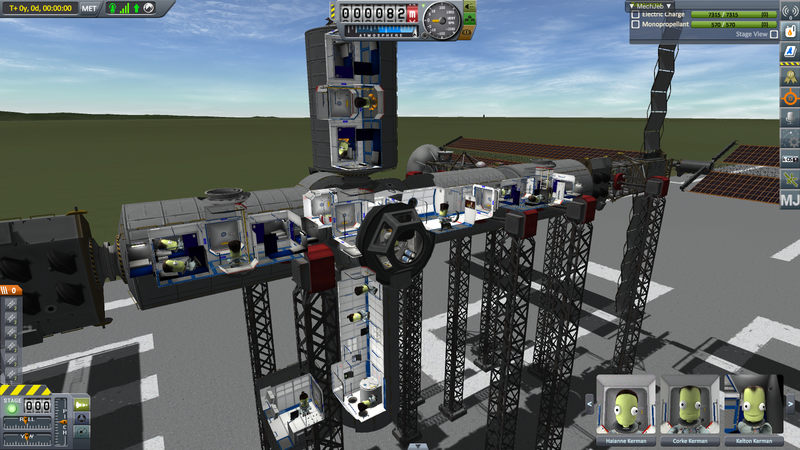 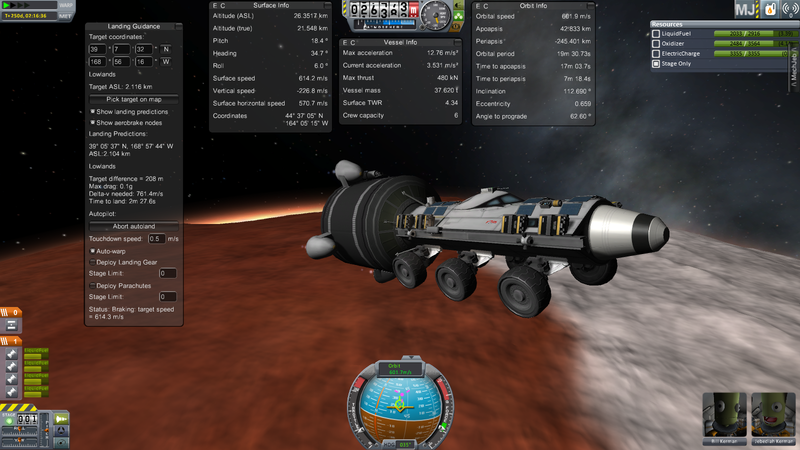 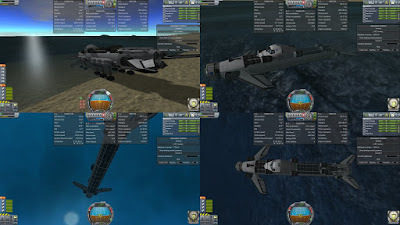 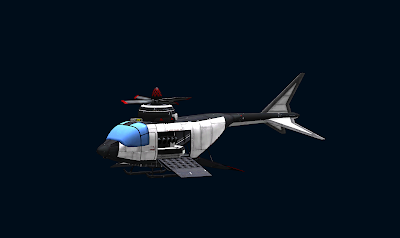 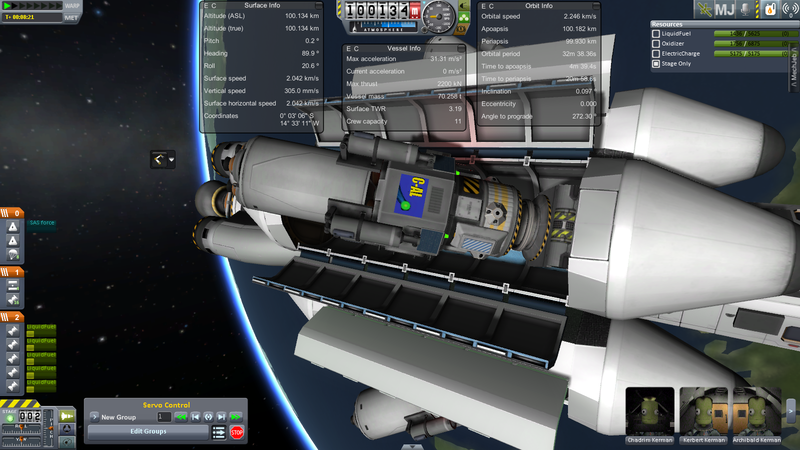 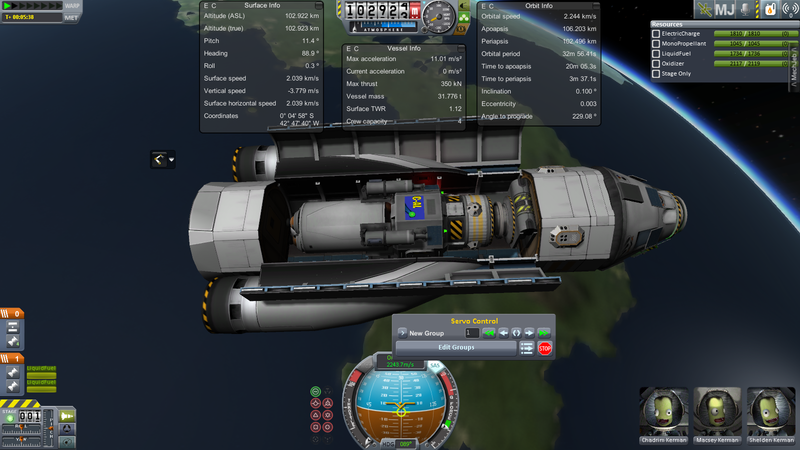 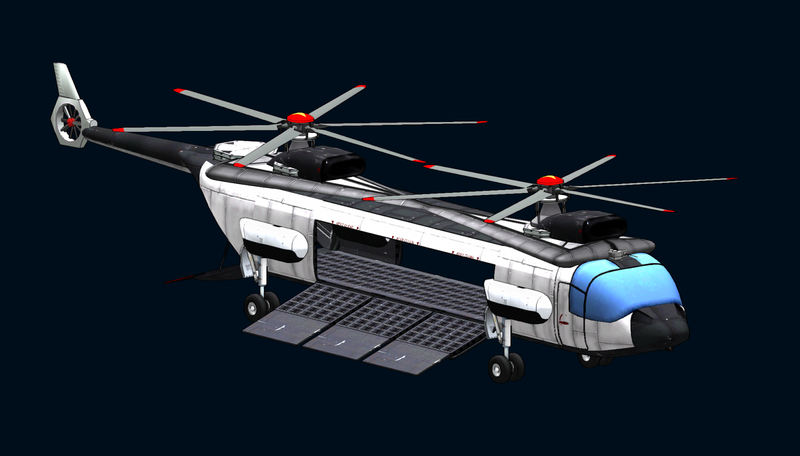 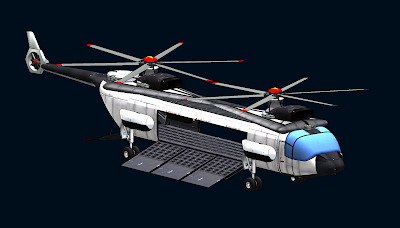 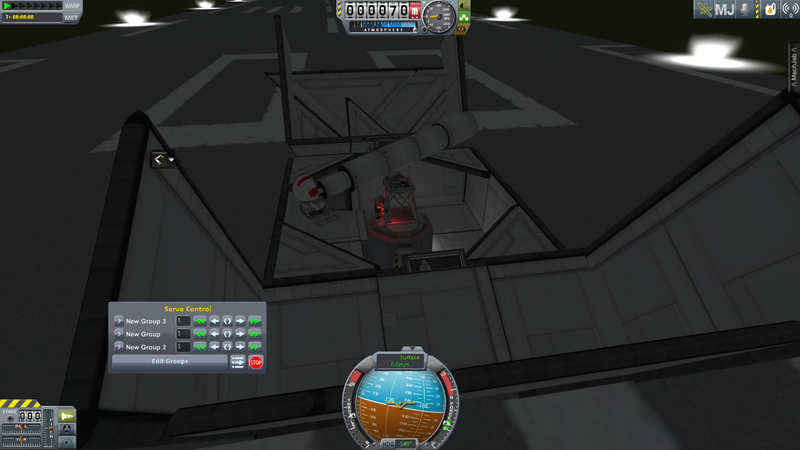 I made a little shuttle transport, that does not land well...crash landing... and a small space station to dock with. Great for those cloudy days and nights. 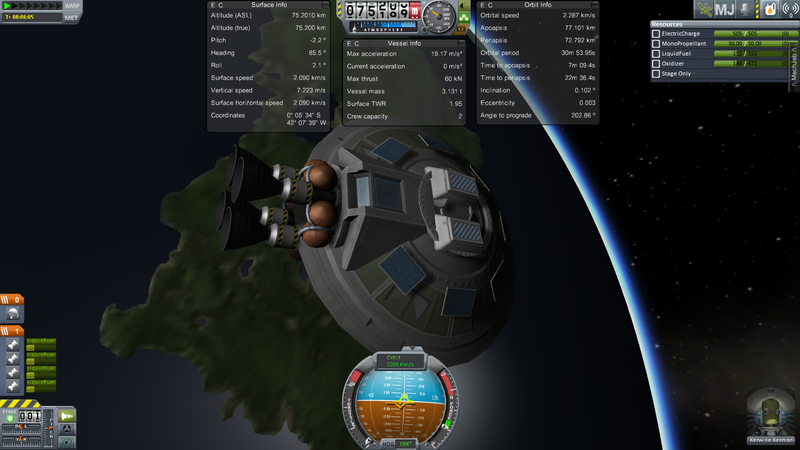 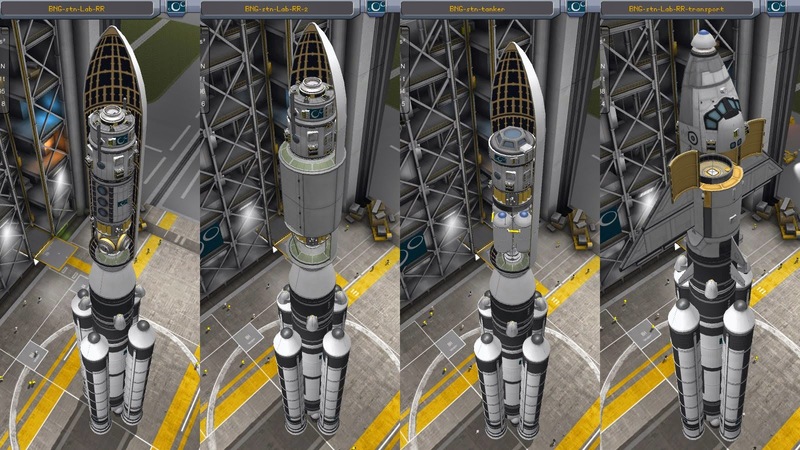 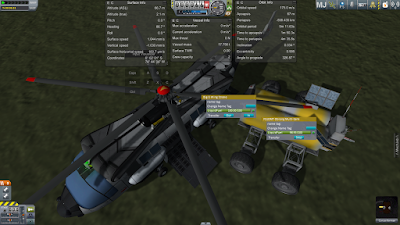 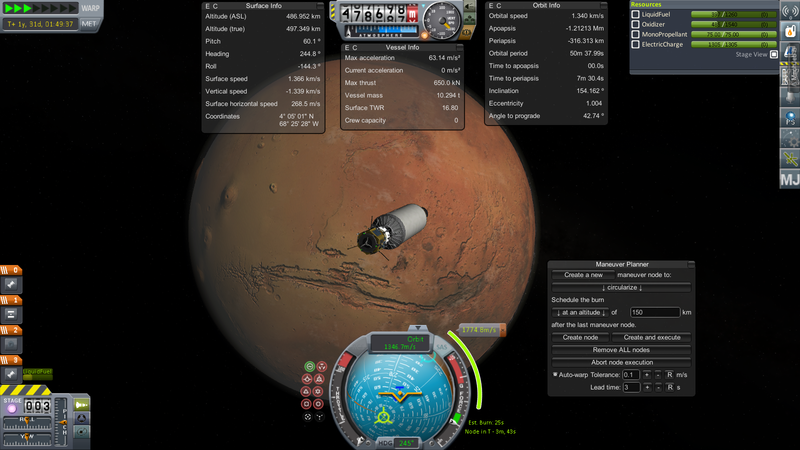 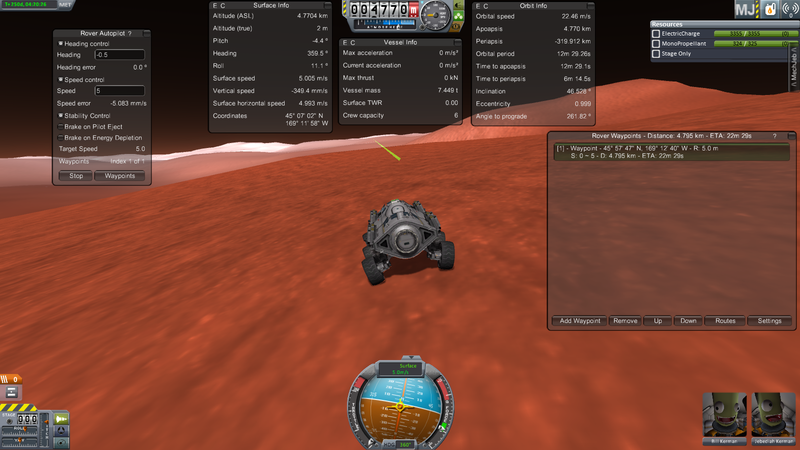 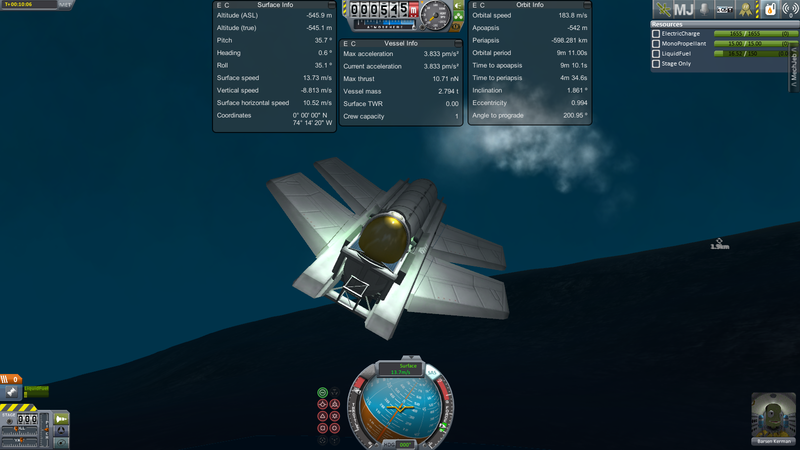 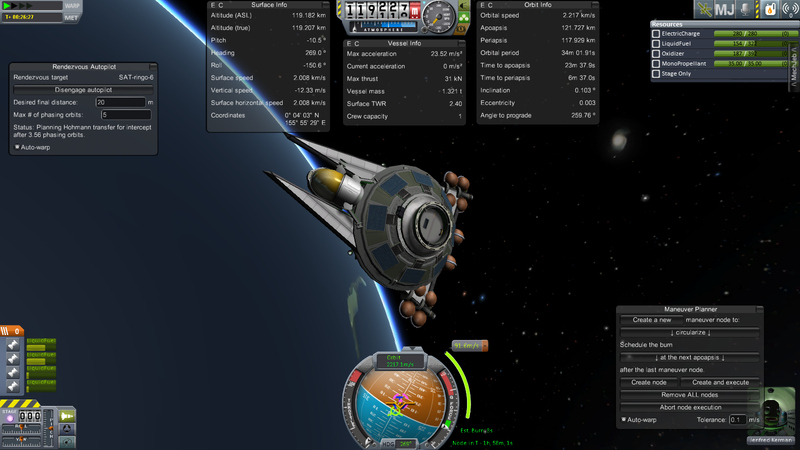 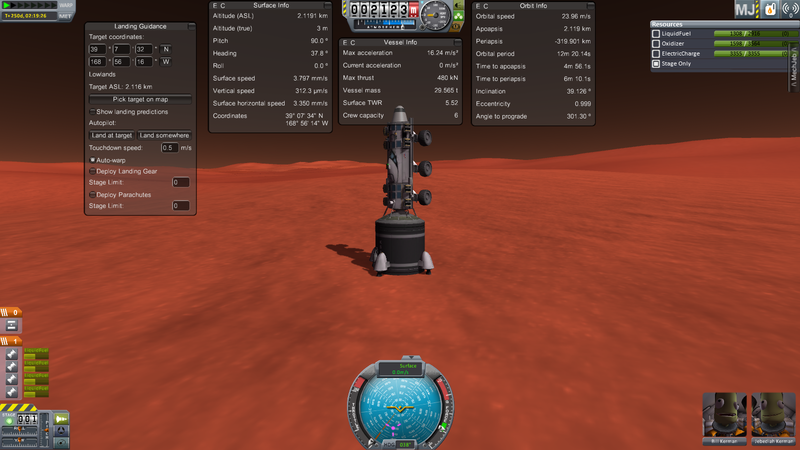 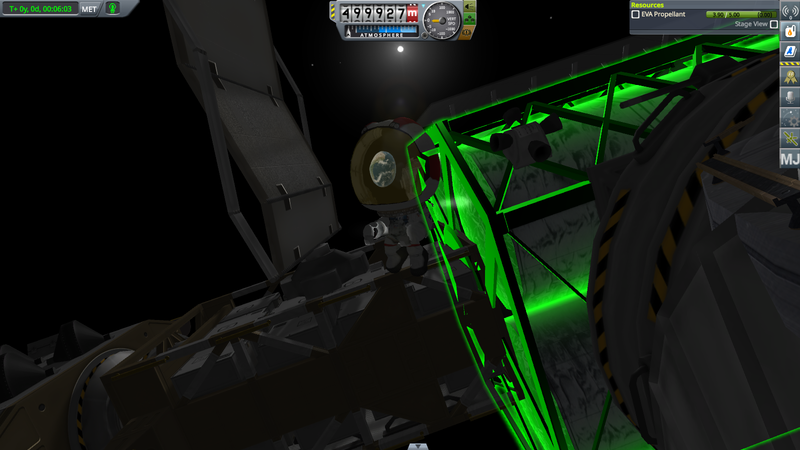 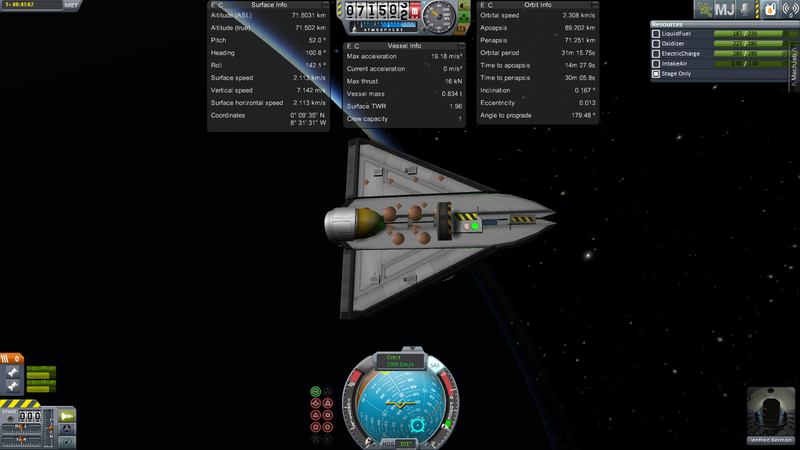 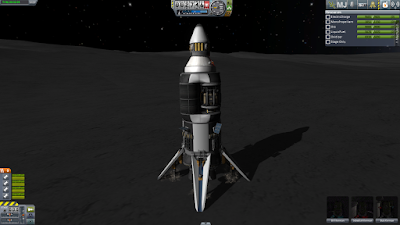 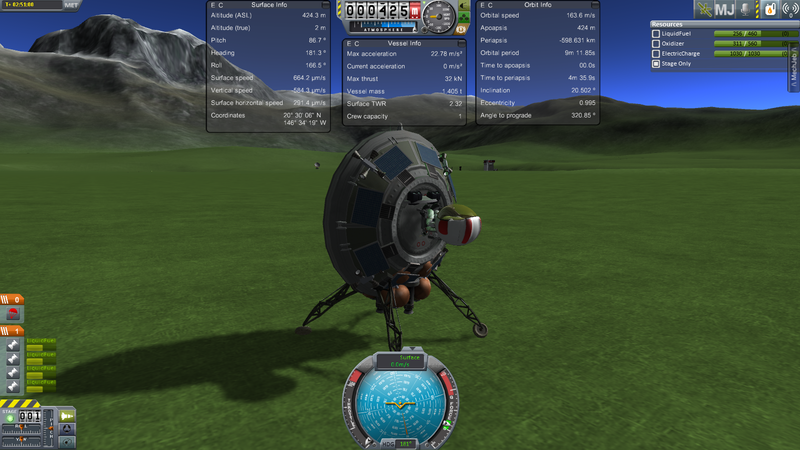 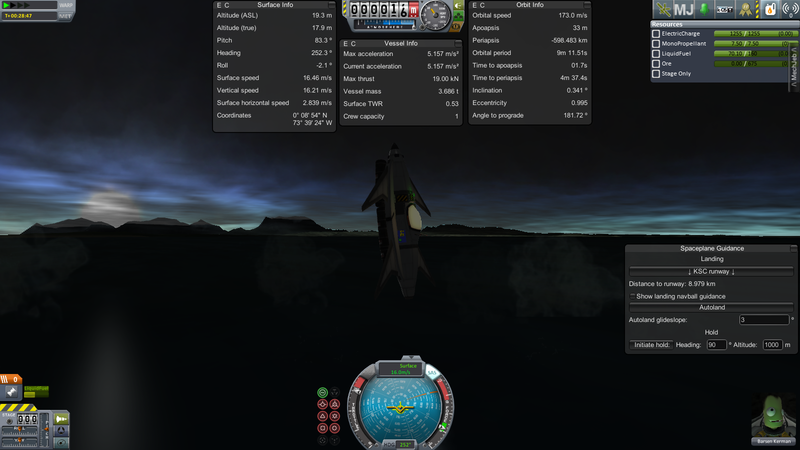 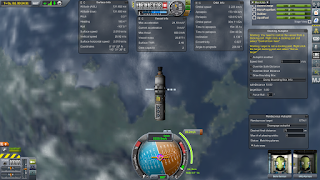 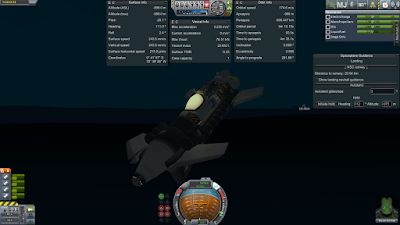 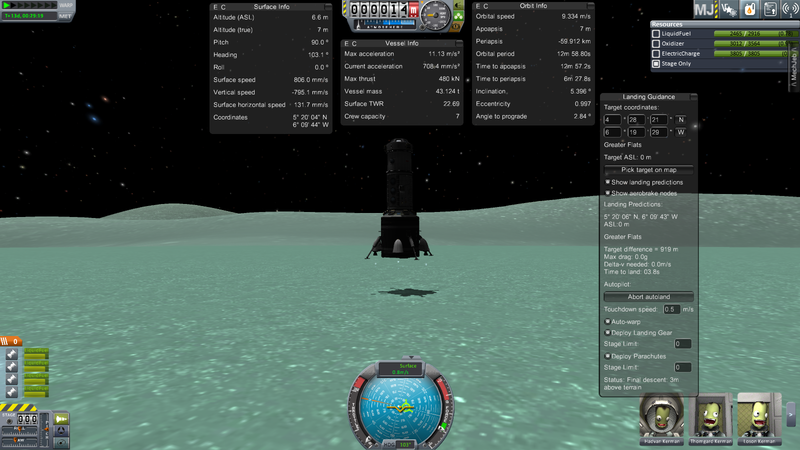 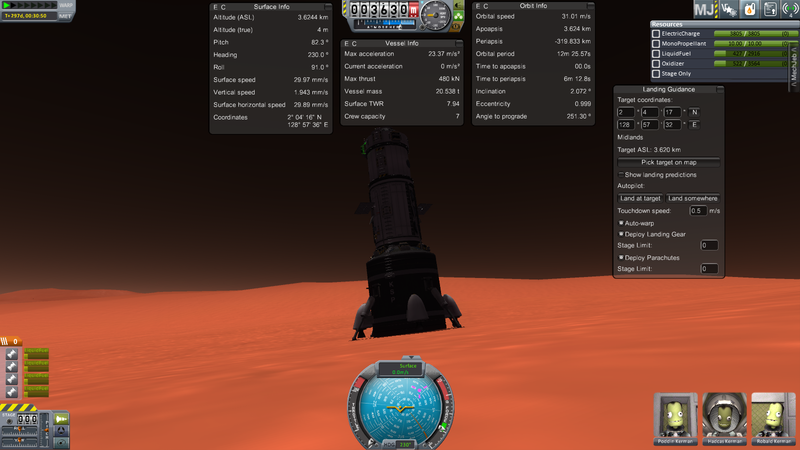 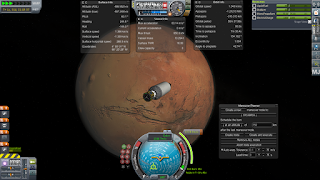 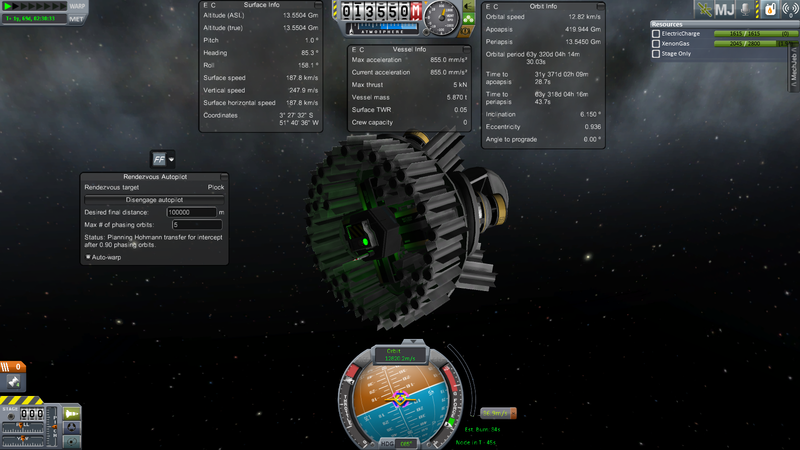 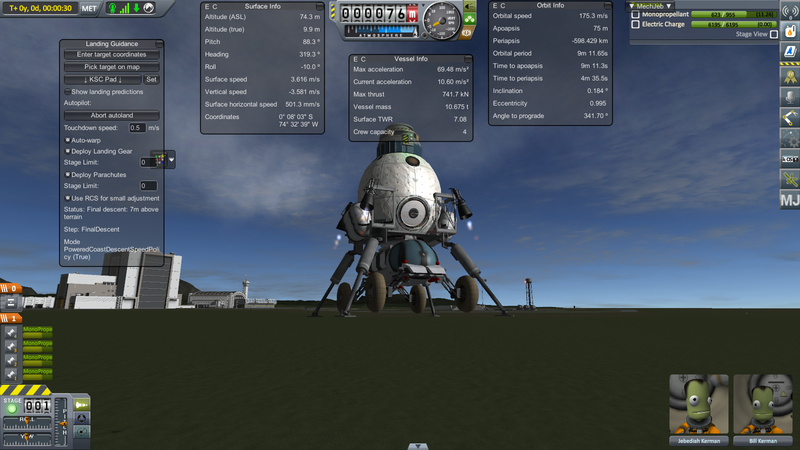 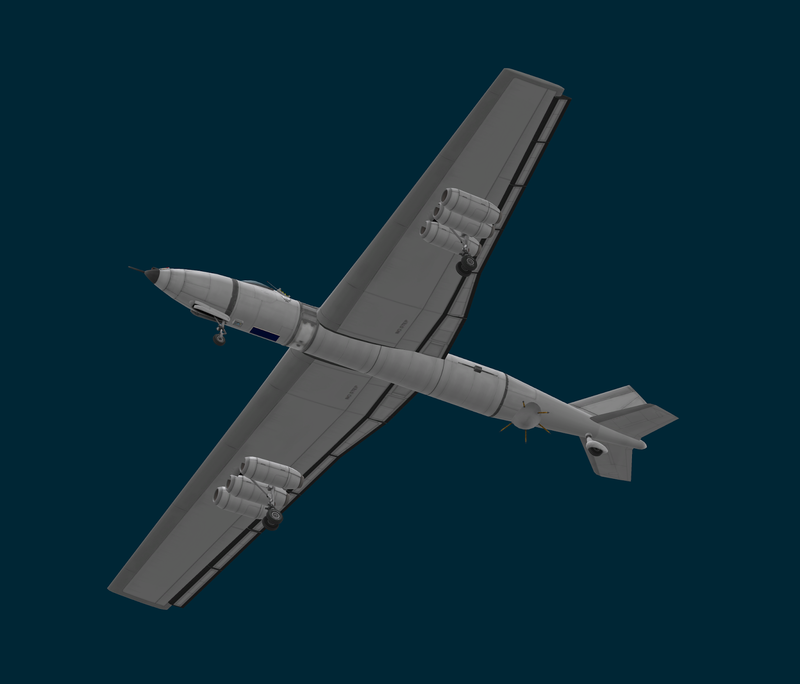 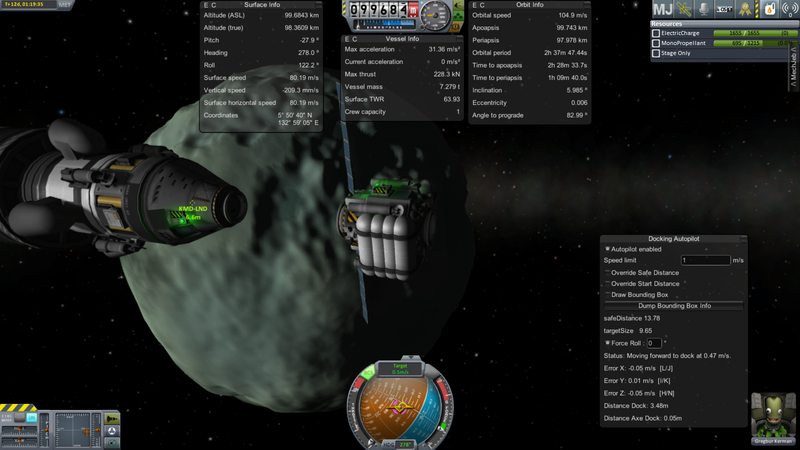 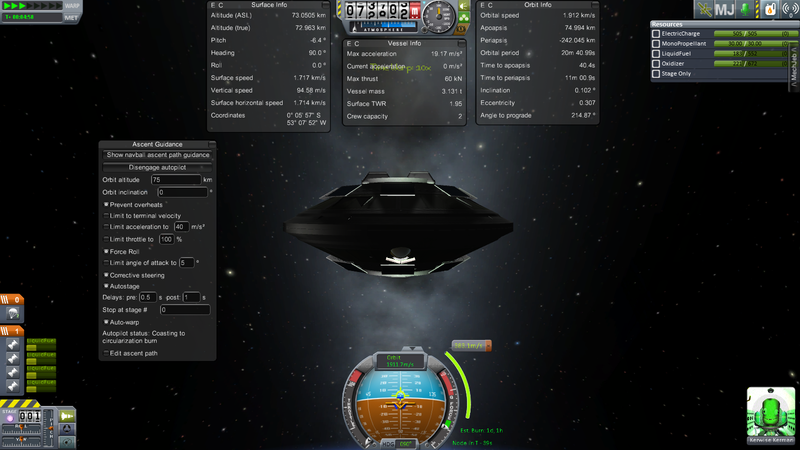 Small is goood.....a three part probe gets to orbit, I think this is the smallest craft that works. 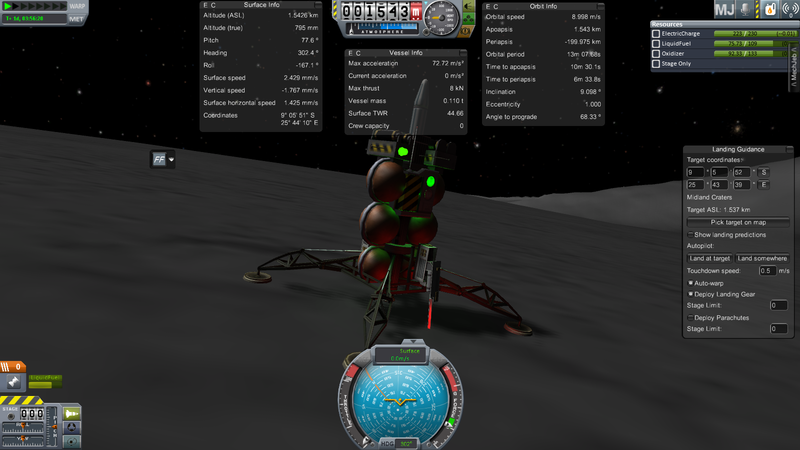 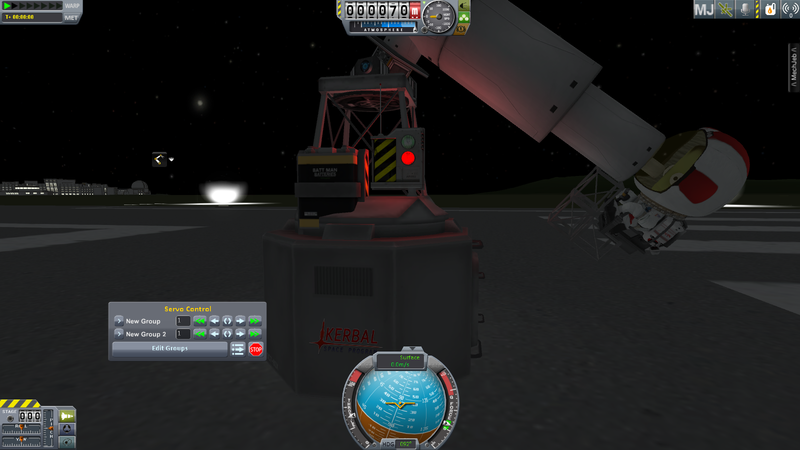 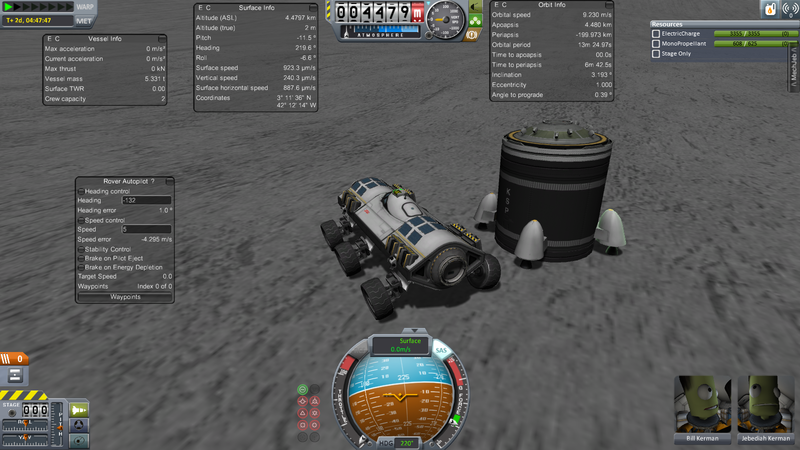 Also a lander that launches from the KSC pad and gets to Mun landing with juice to spare..
An eclipse of the Kerbal Sun by Mun...?? 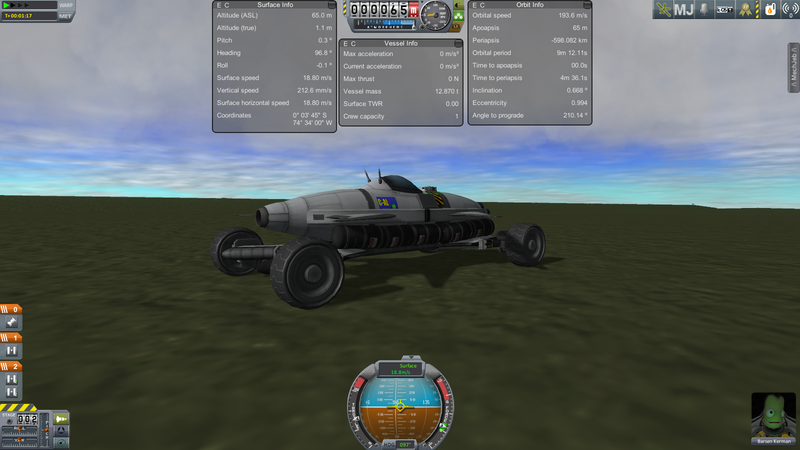 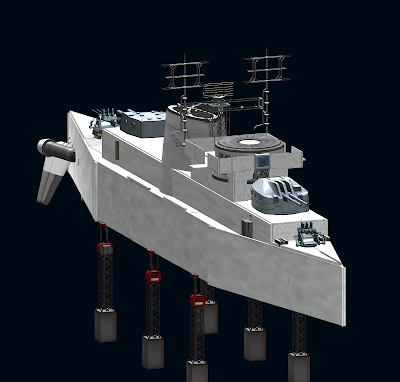 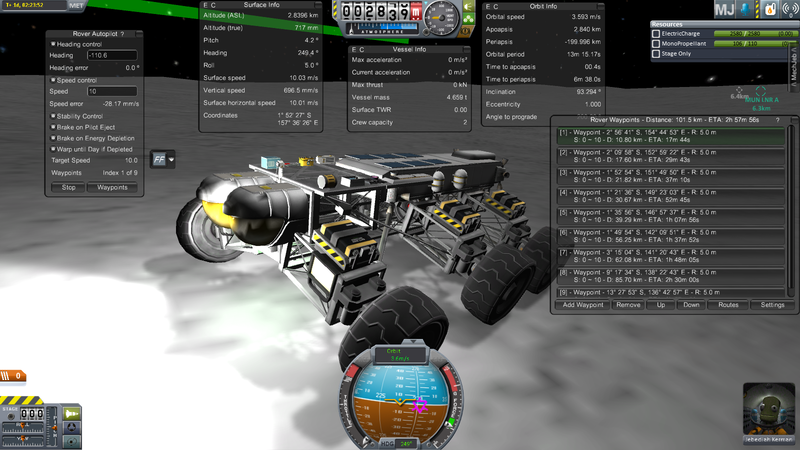 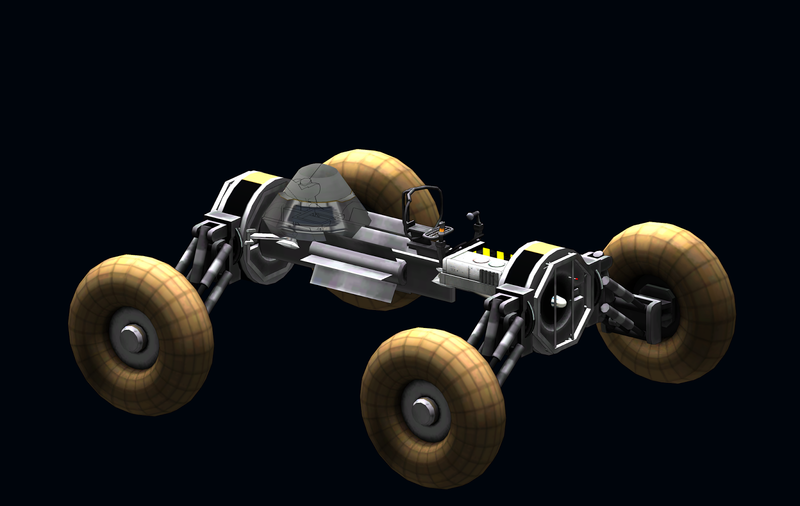 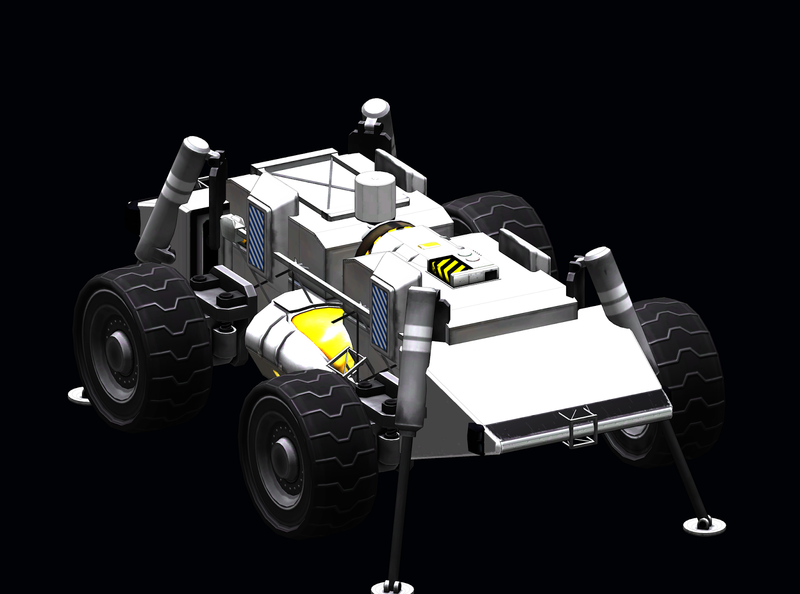 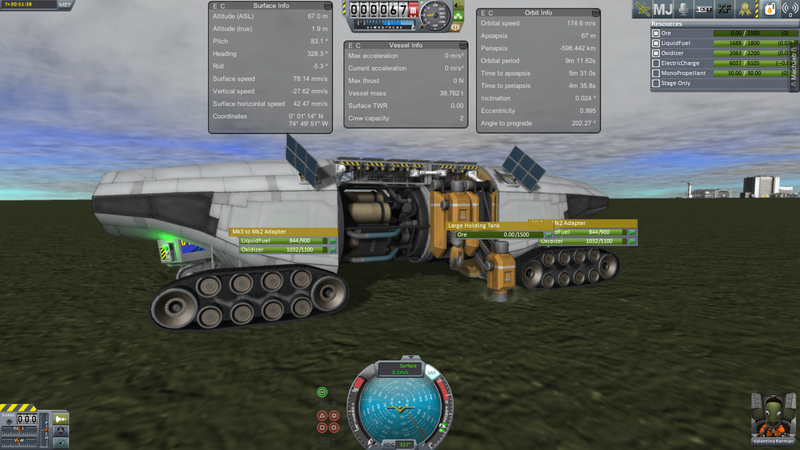 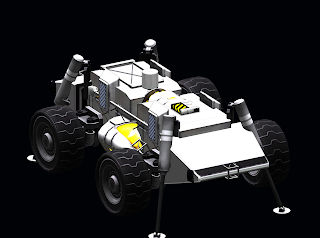 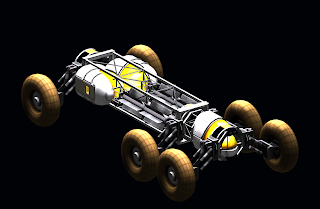 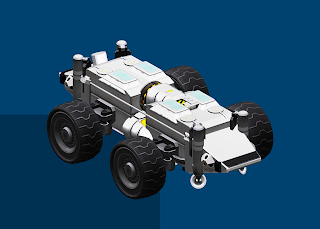 Miner One - first mobile rover miner not efficient but works..
Sub II a better swimer with ore ballast...got to -900m before touching the bottom and blow a ballast tank..